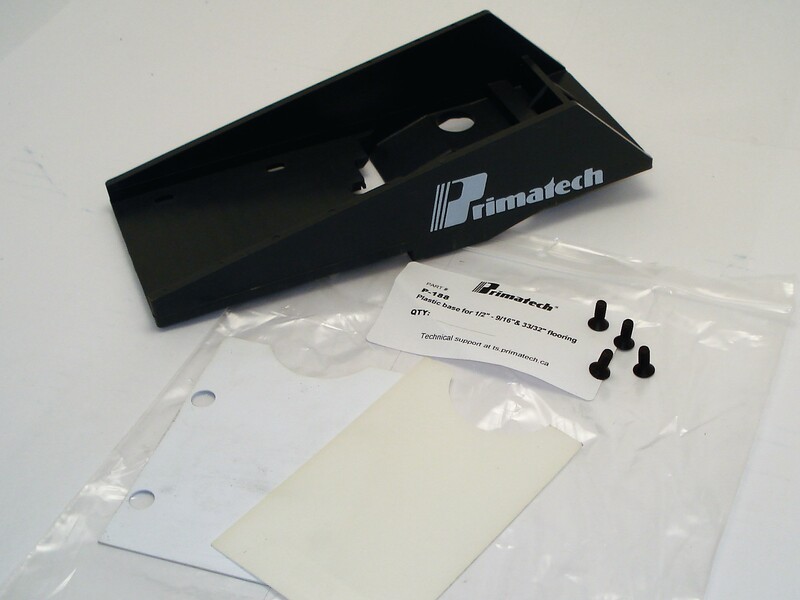 a redesigned Primpact module was introduced on all P250A tools; see Technical Note for replacement part number. NEVER apply thread-locker or sealant onto head, cylinder or main body threads. The use of thread locker will VOID the warranty. Replacement parts & kits for all configurations are listed below. Always refer to the schematic specific to your tool version before ordering parts. Always refer to the schematic specific to your tool when ordering parts. 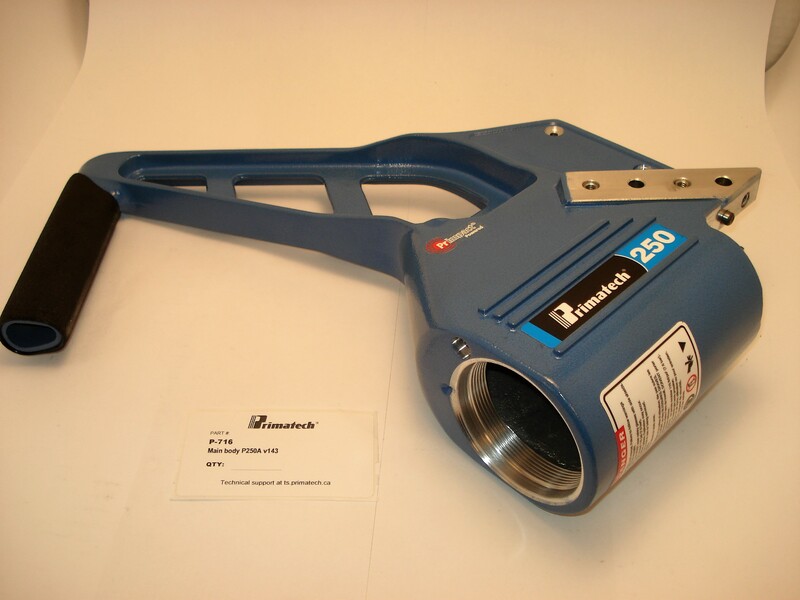 Locate the tool code on your tool and goto the selector. 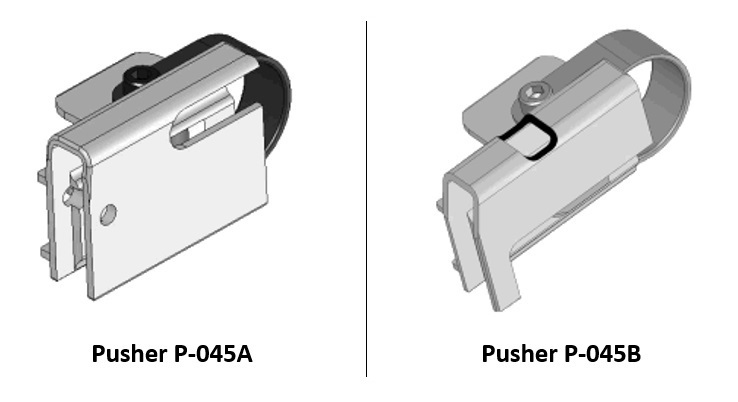 H‑055 Pusher assembly Nailers only. 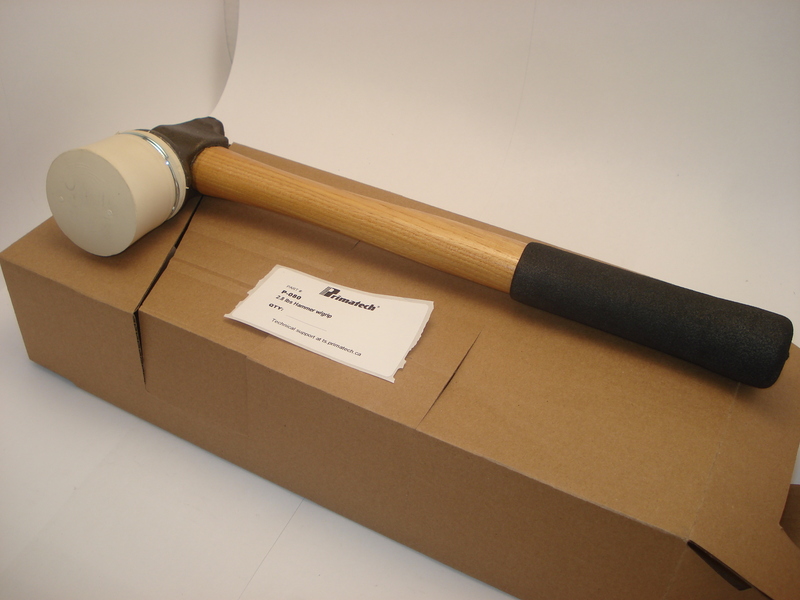 H‑084 Head cap (for all mallets) See Installation instructions. Also available in Display Kit of 8 (ask for H-984). P‑038 Inner gate Staplers only. 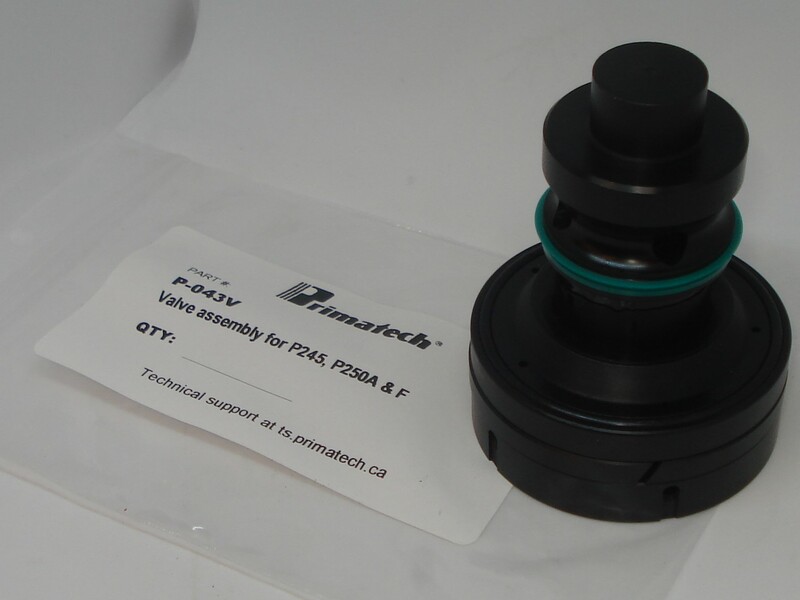 P‑043V Valve assembly Complete valve assembly including actuator. Do not attemp to disassemble (see Technical Note). Important - see Technical Note for replacement part number. 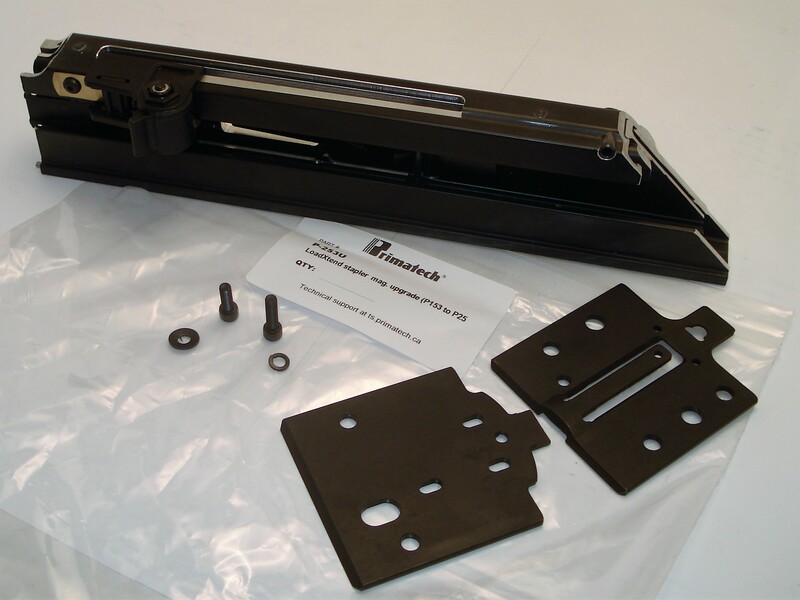 P‑045 Pusher assembly For stapler magazine P‑153 only. No longer available. 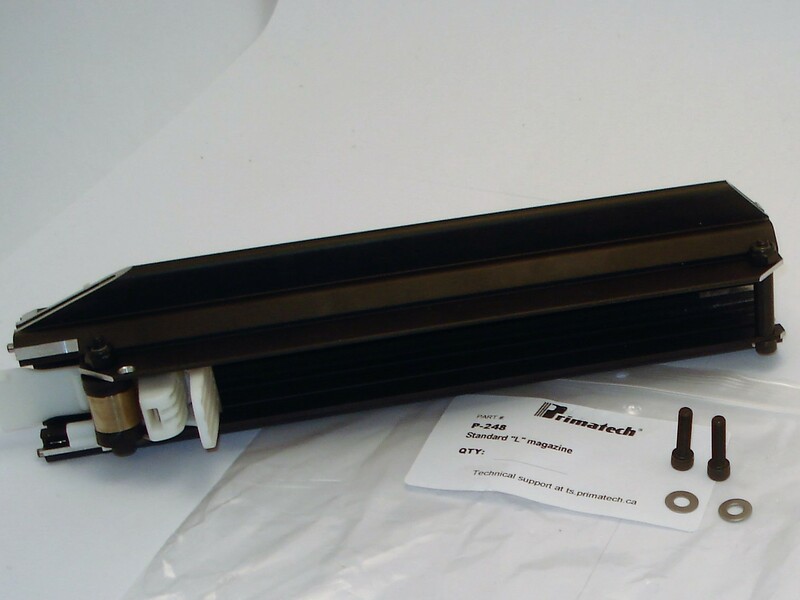 See Technical Note for replacement part number. 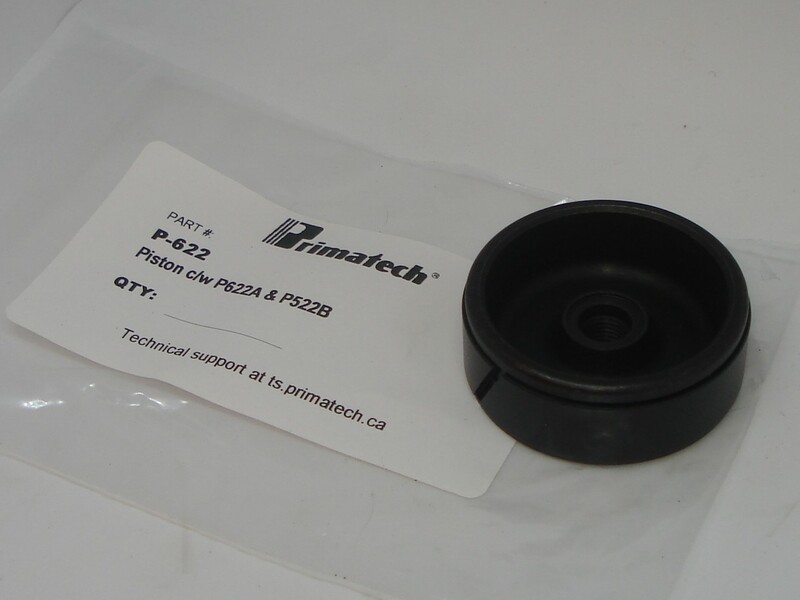 P‑084 Rubber cap Order H‑084. 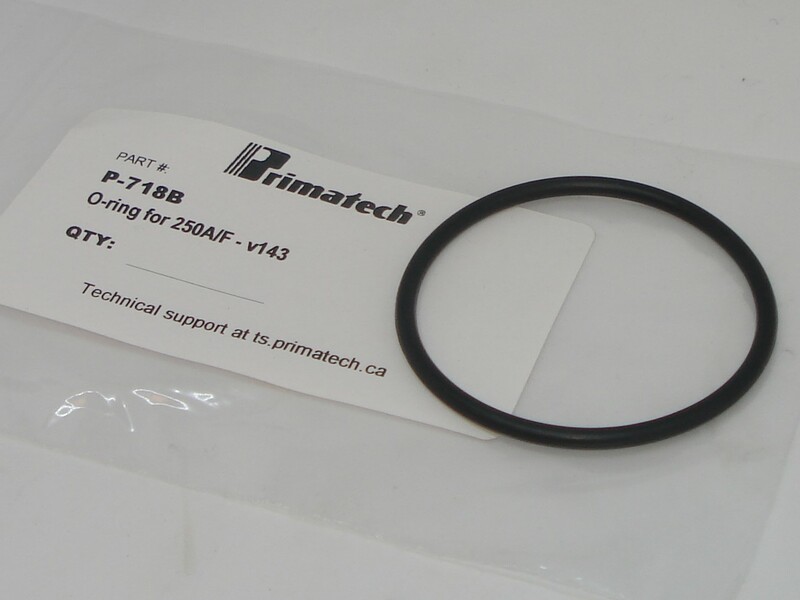 P‑118B o-ring For P‑718 cylinder. 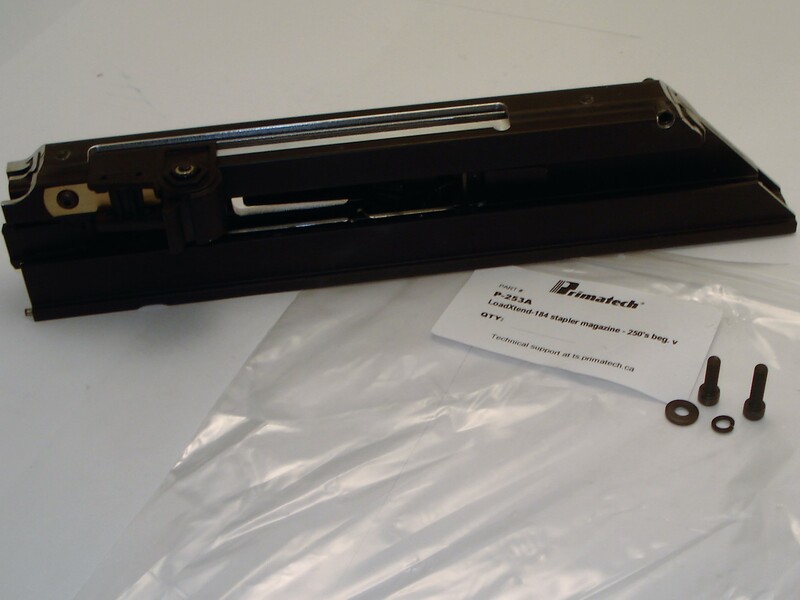 P‑145 Pusher assembly for staples magazine For new-style stapler magazine P‑253A or P‑253S only. See Installation instructions. P‑151 "T" nails magazine Regular 100 "T" nails capacity. 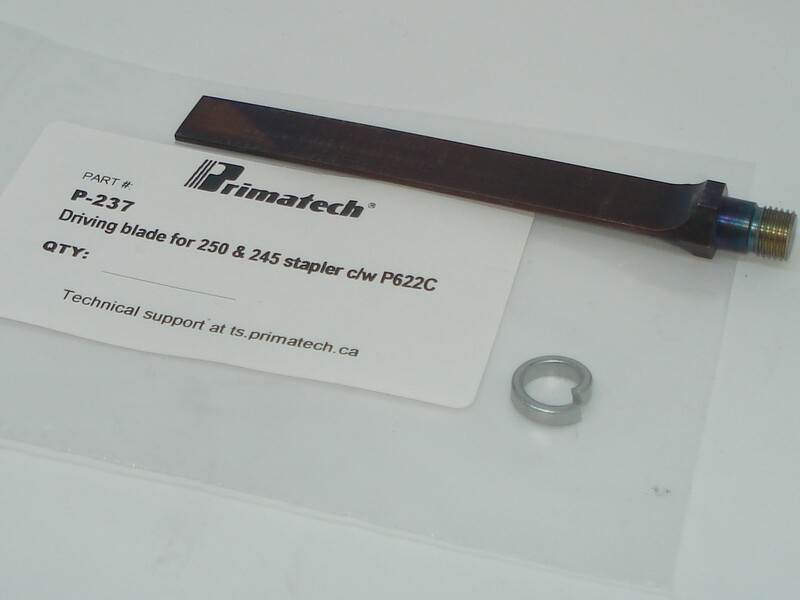 P‑153 Staples magazine Upgrade with P‑253U kit or with S‑LBO version P‑252U. 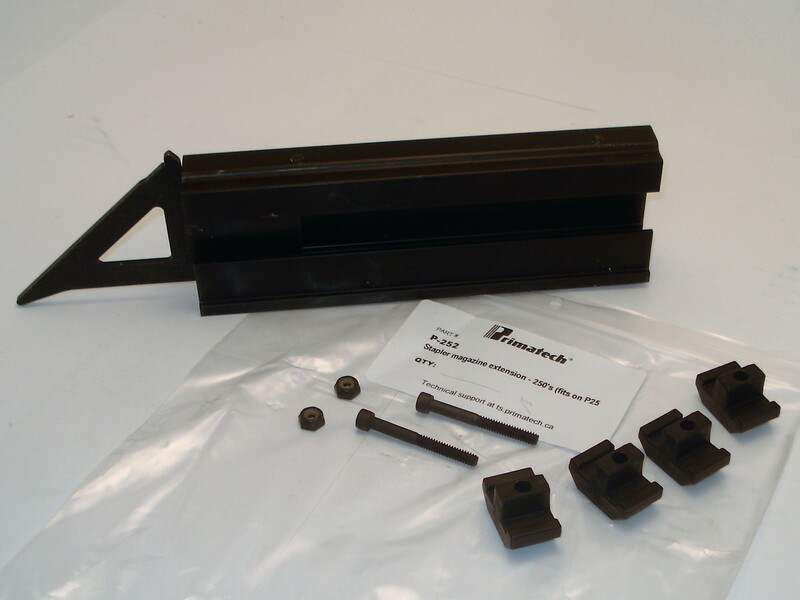 Upgrade kits include new gate P‑639A & foot P‑429. See Technical Note. 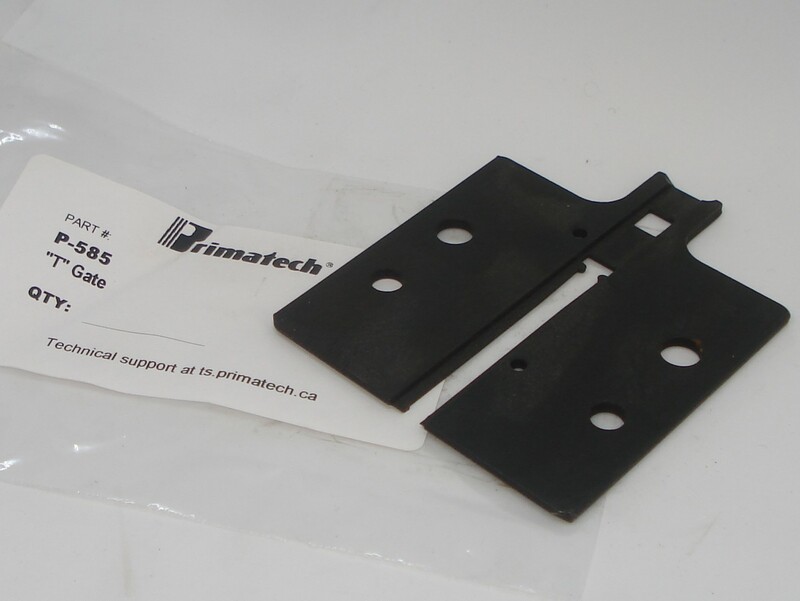 P‑188 Plastic base for 1/2" - 9/16" flooring P250F only. 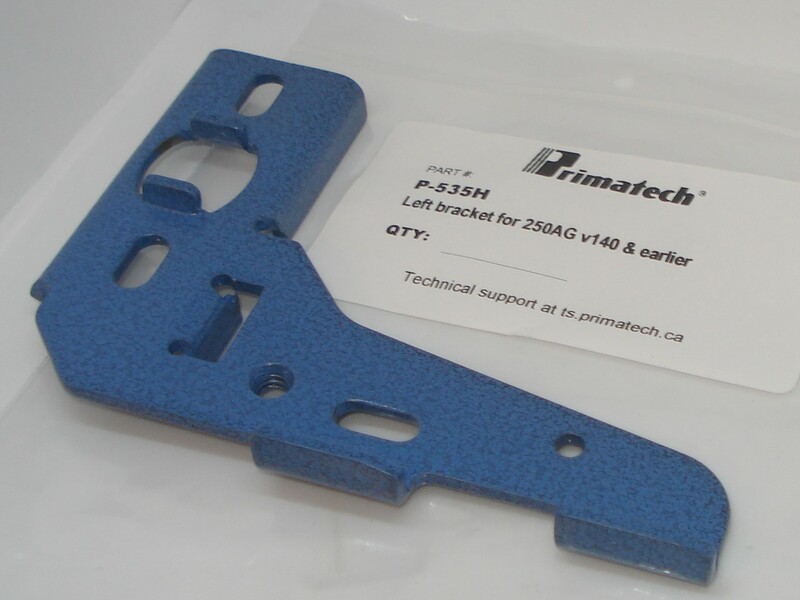 P‑216 Main body For P250F with first version of the Primpact module only. 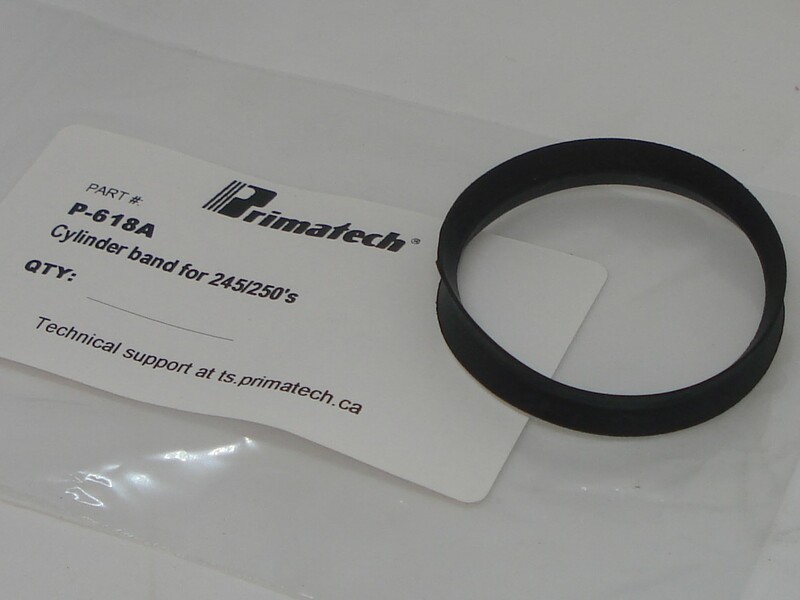 See Technical Note for replacement part number. P‑237 Driving blade Staplers only. P‑248 "L" nails magazine Regular 100 "L" nails. P‑248A "L" nails magazine LoadXtend 200 "L" nails. P‑249A "L" nails magazine GYM Edition - LoadXtend 300 "L" nails. 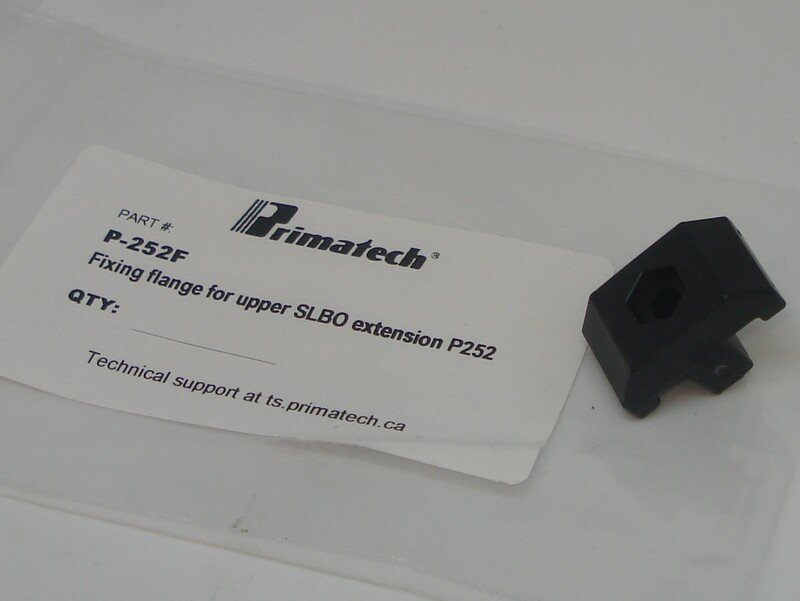 P‑252 Upper extension S‑LBO extension of new-style P‑253A stapler magazine. See Technical Note. See Installation instructions. 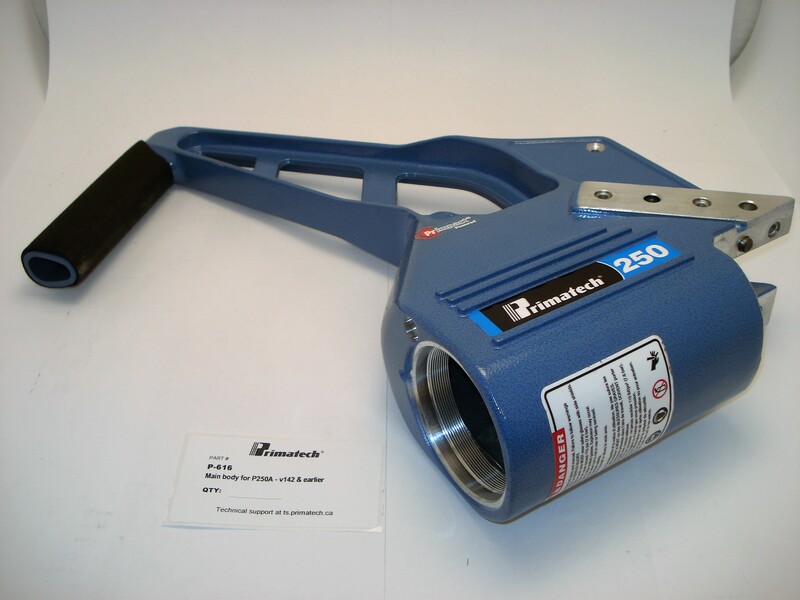 P‑253A Staples magazine New LoadXtend stapler magazine introduced in 2015. See Technical Note. See Installation instructions. 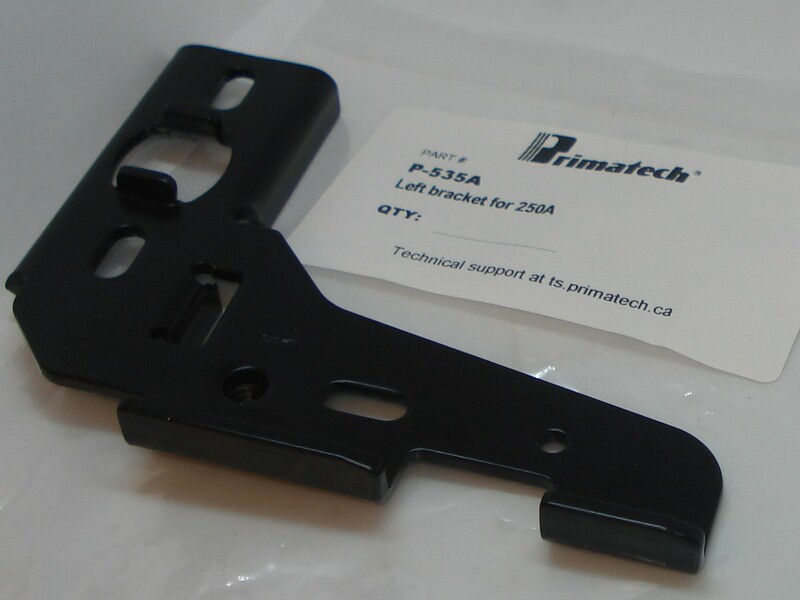 P‑416 Main body For P250F with the new version of the Primpact module only. 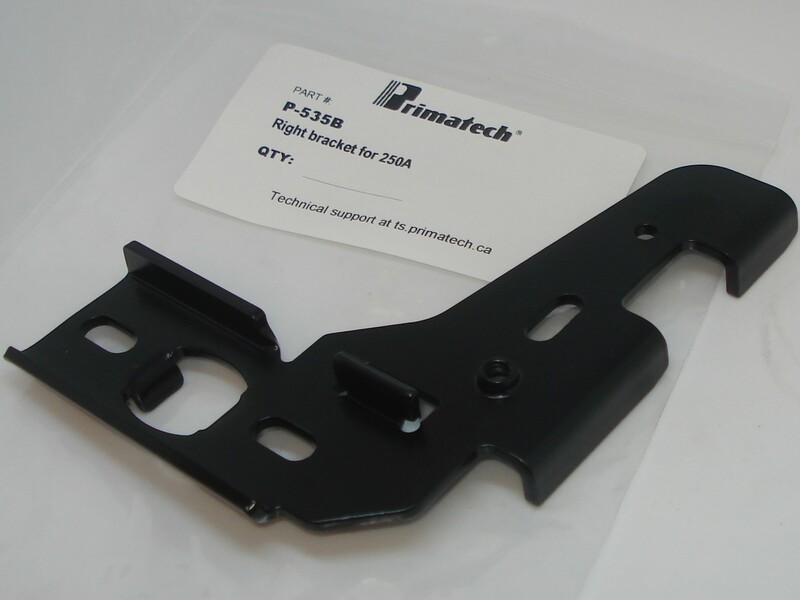 See Technical Note for replacement part number. NEVER apply thread-locker or sealant onto head or main body threads. 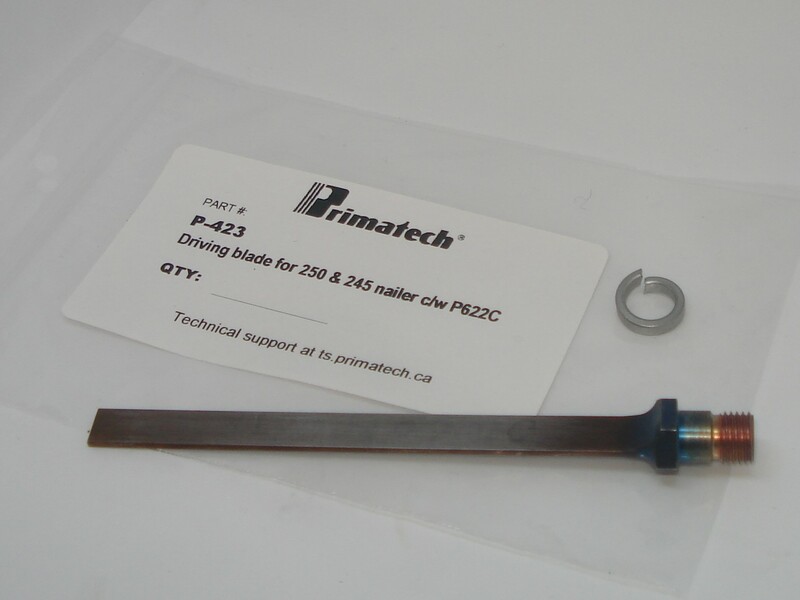 P‑423 Driving blade Nailers only. 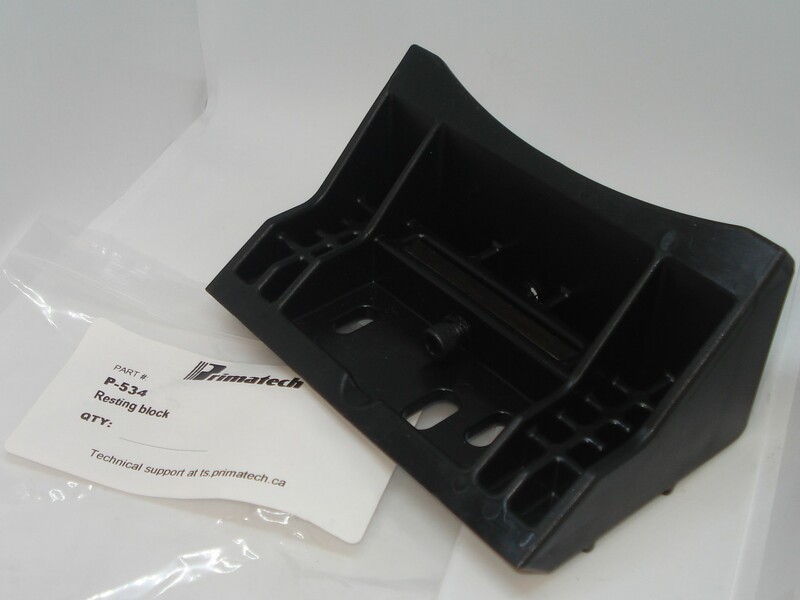 P‑433 Fixed plastic base P250F only. See Technical Note. 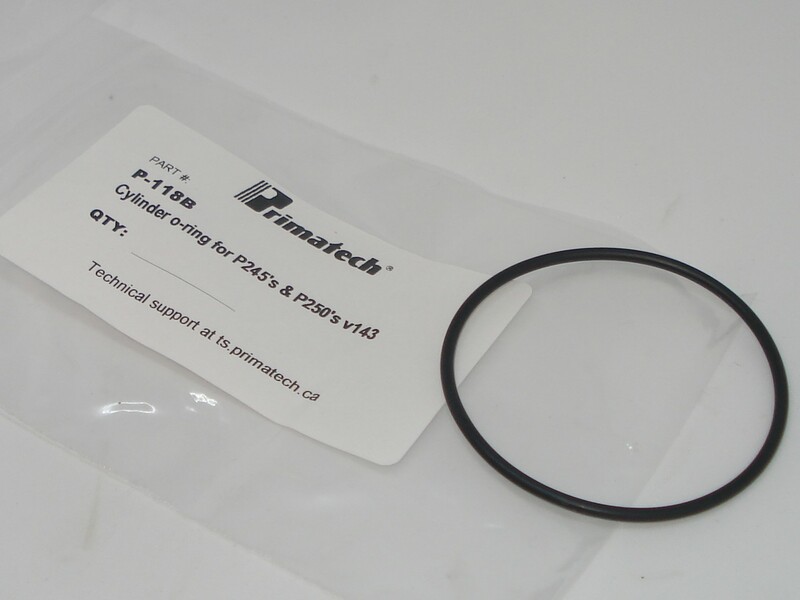 P‑522B o-ring Note sold separately; order P‑622A. 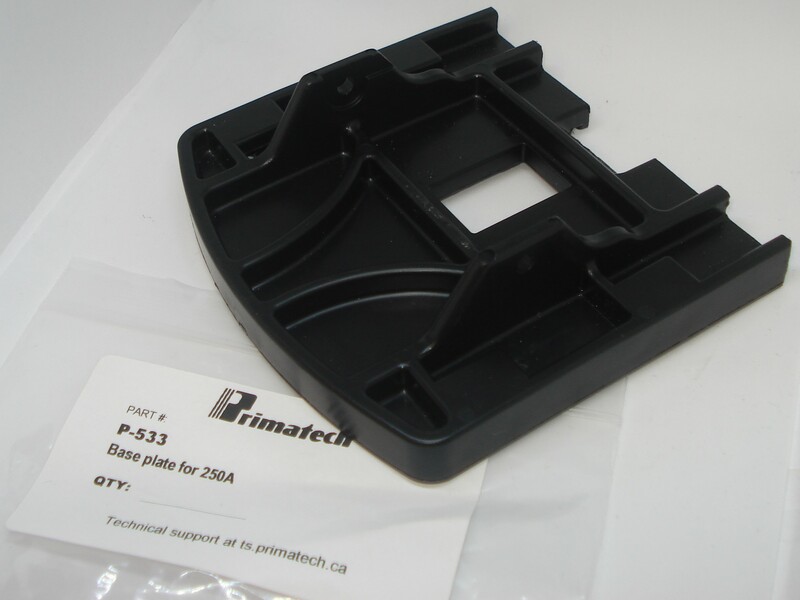 P‑525A Bumper For first version of the Primpact module only. 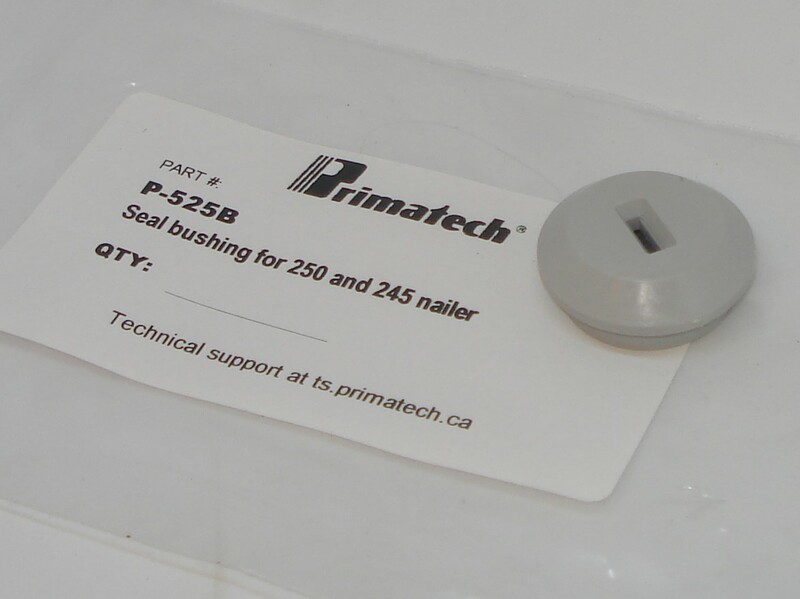 P‑525B Seal bushing Nailers only. 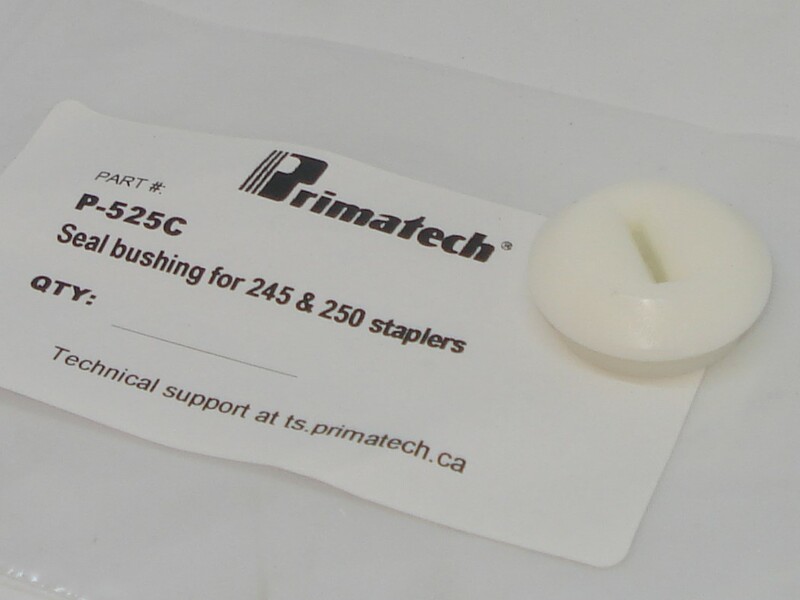 P‑525C Seal bushing Staplers only. 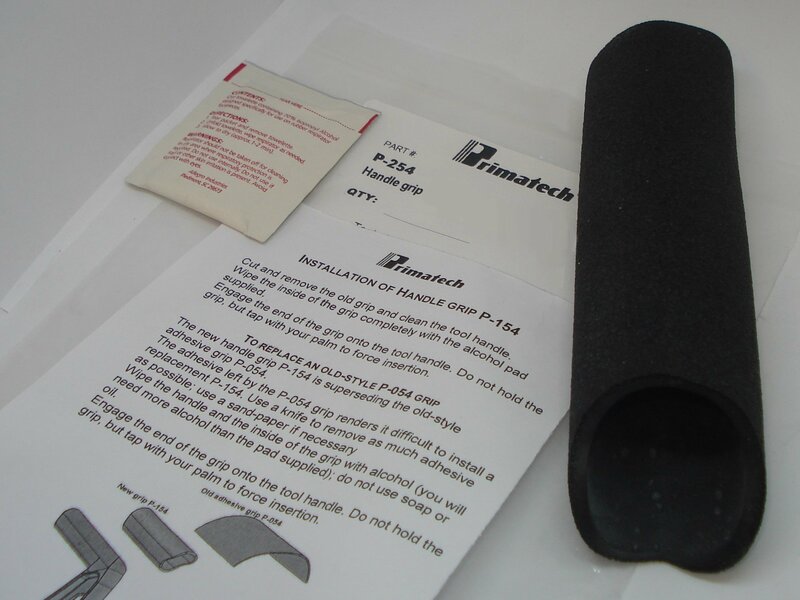 P‑534 Resting block For standard base only; does not fit roller base. 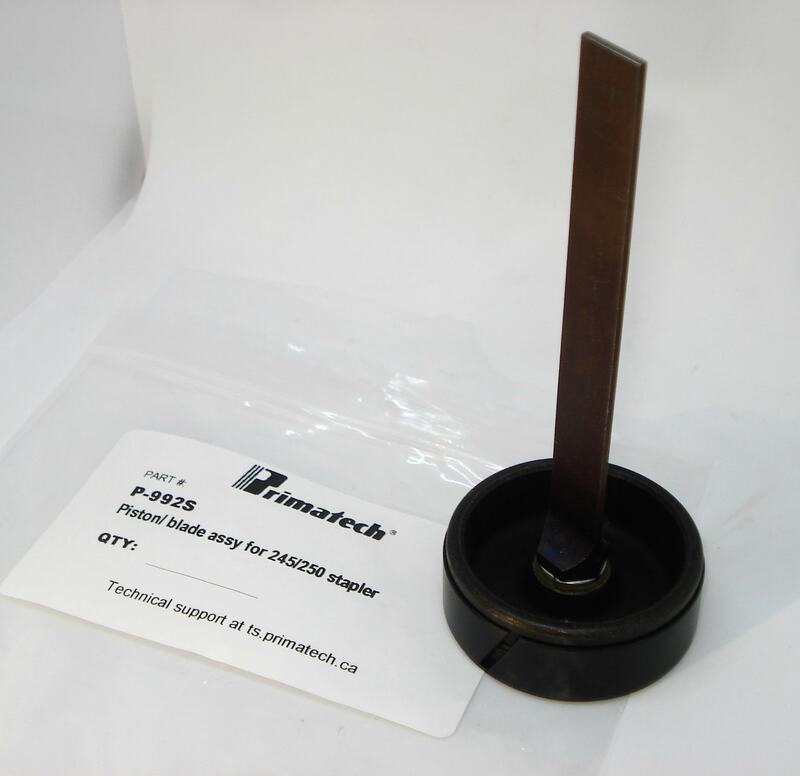 See also A‑860 or A‑861 roller bases. 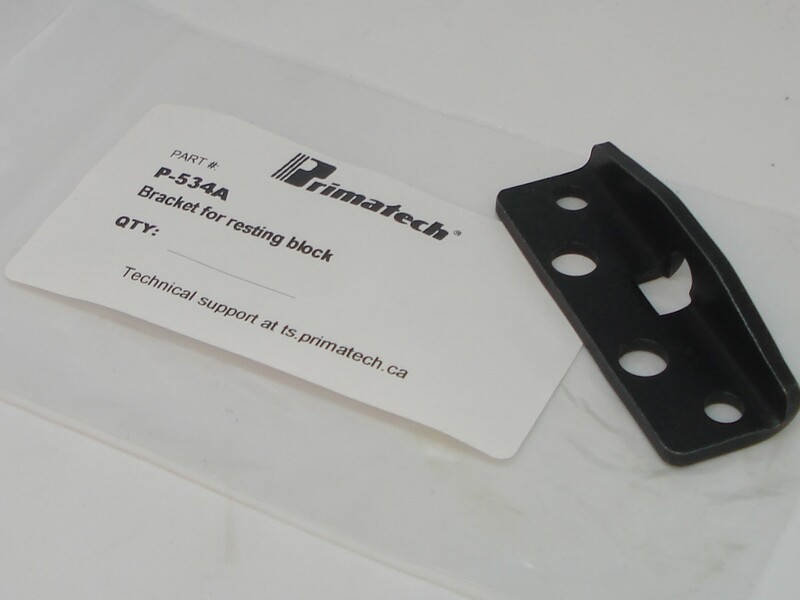 P‑535B Brackets Brackets (black) for standard 5/8" to 7/8" floorings. 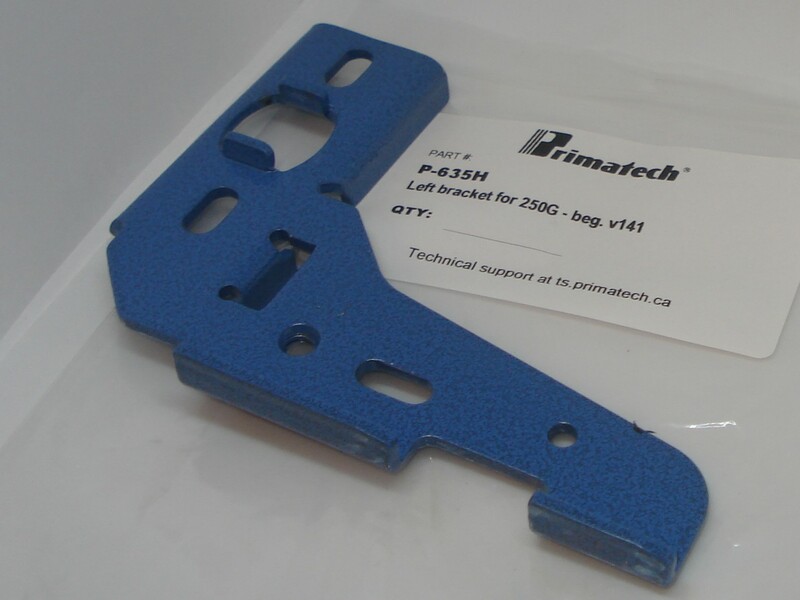 P‑535H Brackets for GYM floorings Brackets (blue) for A‑860 roller base in GYM Edition configuration (3/4" to 33/32" floorings). See Technical Note. P‑536A Left cam Not sold separately; order P‑936. 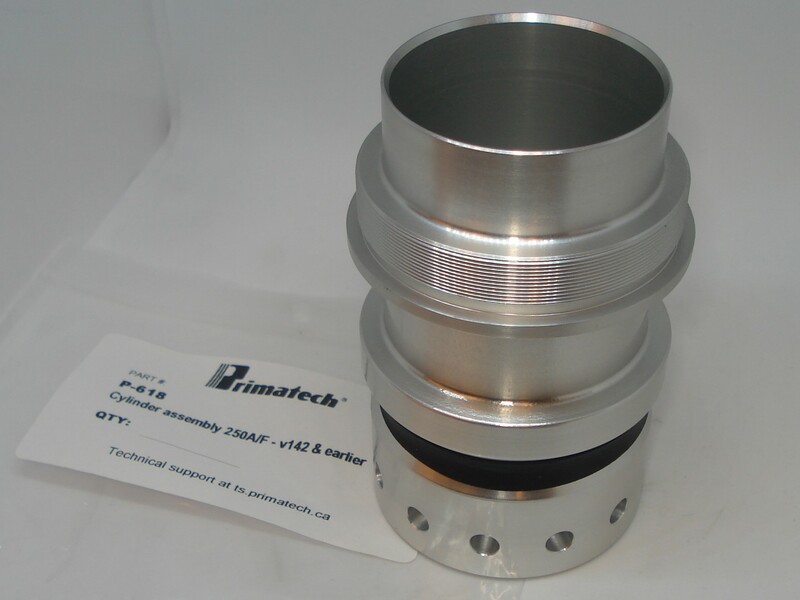 P‑536B Right cam Not sold separately; order P‑936. P‑561 Safety Not sold separately; order P‑961. See also Installation Note. 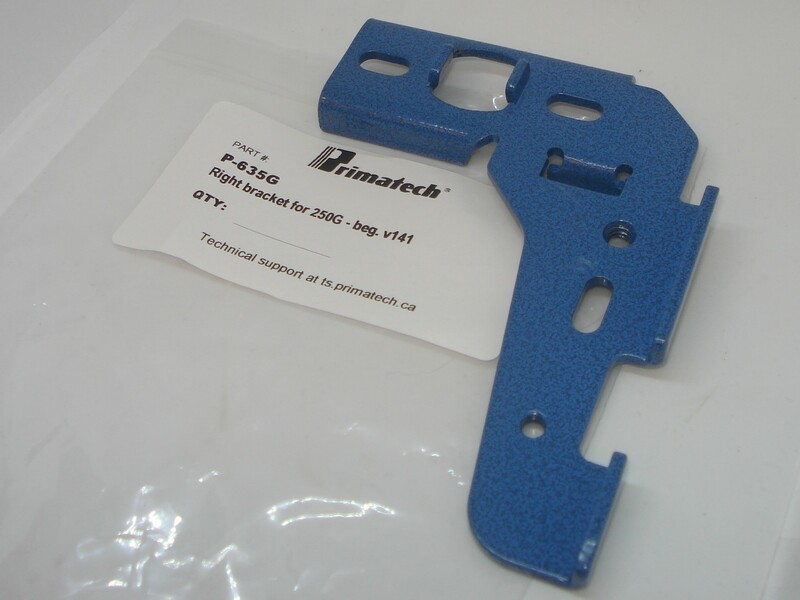 P‑561B Connecting stem Not sold separately; order P‑961. 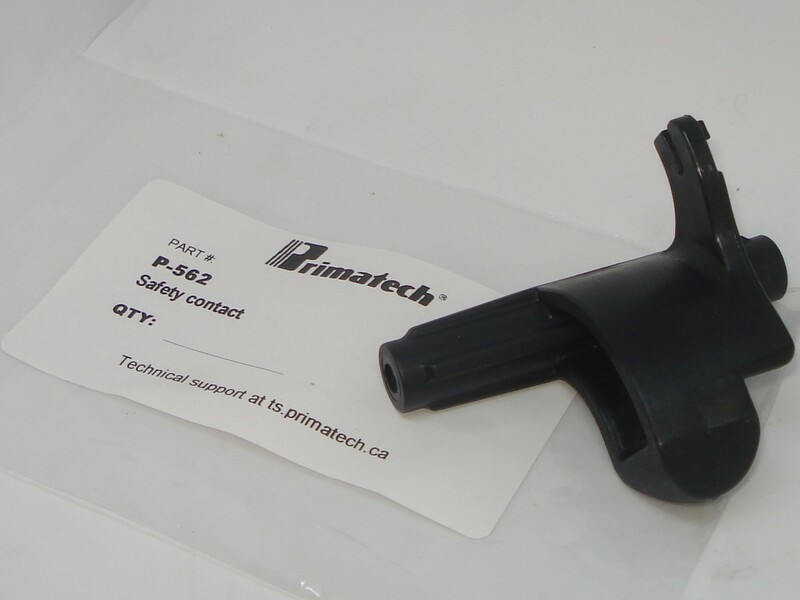 P‑562 Safety contact P250A only; also for roller bases A‑861 & A‑866. See also Installation Note. P‑585 "T" Gate "T" Nailers only. 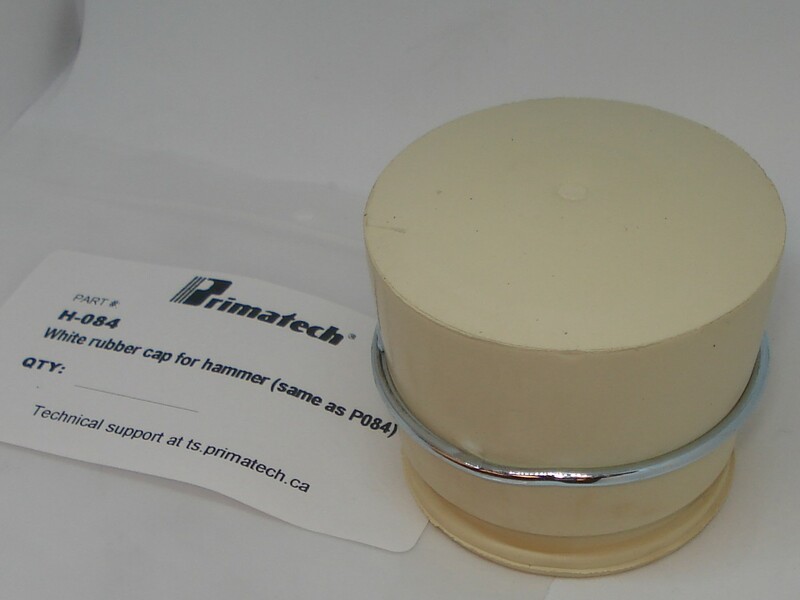 P‑601 Head cap For first version of the Primpact module only. 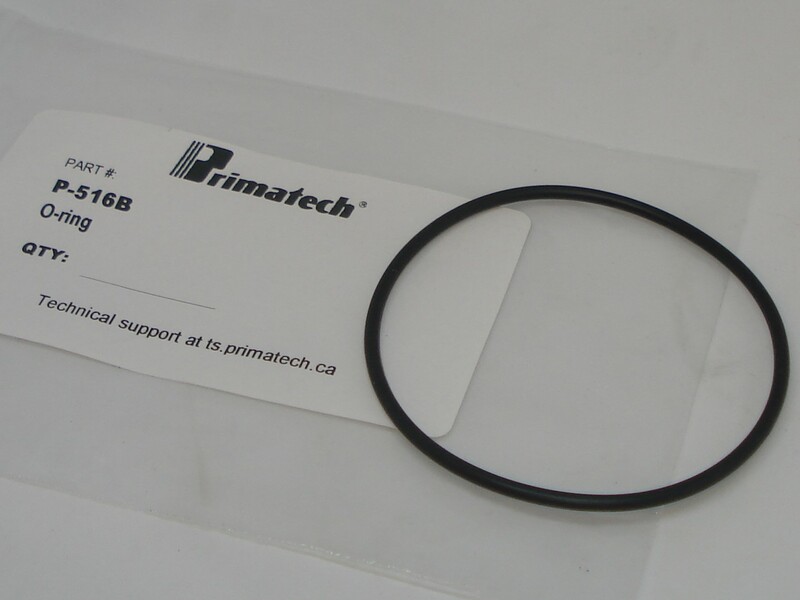 See Technical Note for replacement part number. 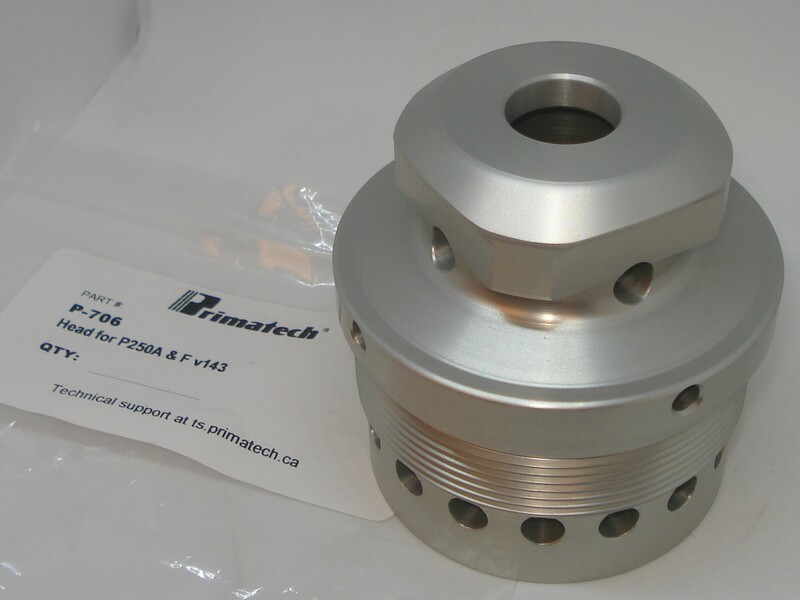 P‑601A Head disk Not sold separately; order P‑601. P‑606 Head body For first version of the Primpact module only. See Technical Note. 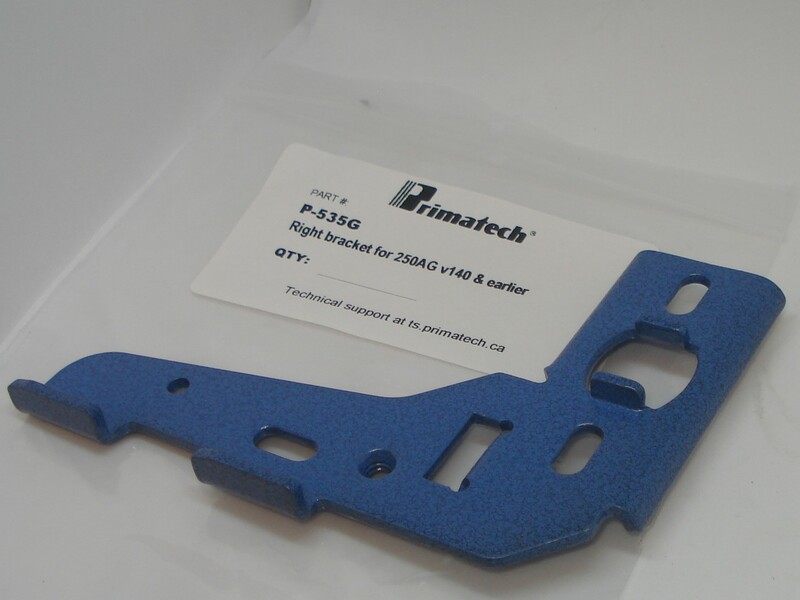 P‑616 Main body For P250A with first version of the Primpact module only. See Technical Note for replacement part number. 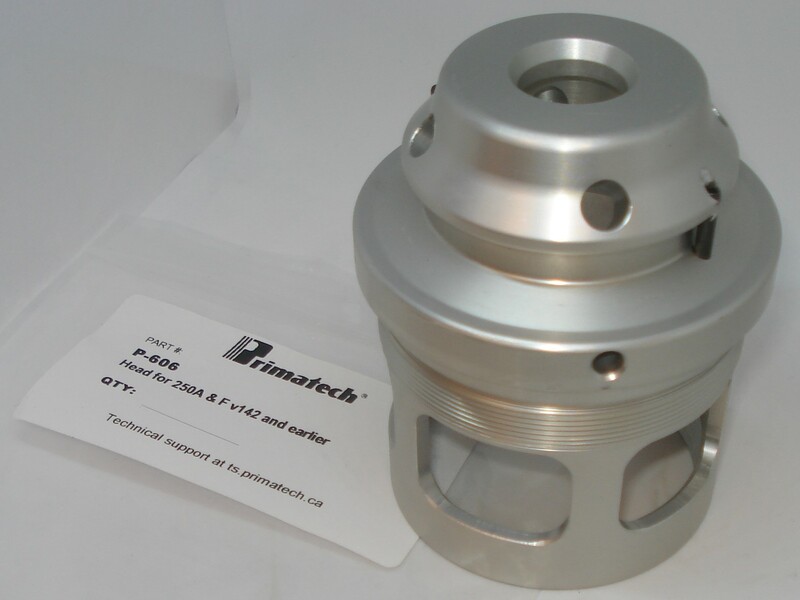 P‑618 Main cylinder For first version of the Primpact module only. 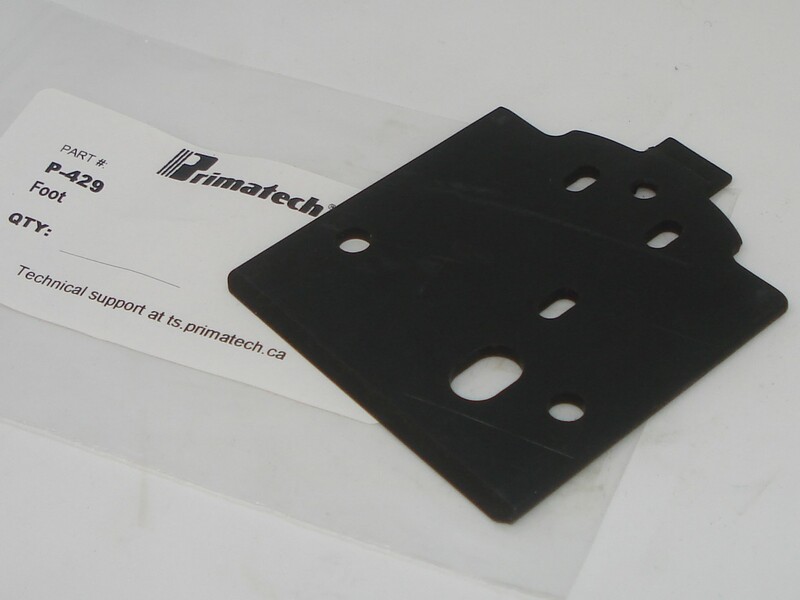 See Technical Note for replacement part number. 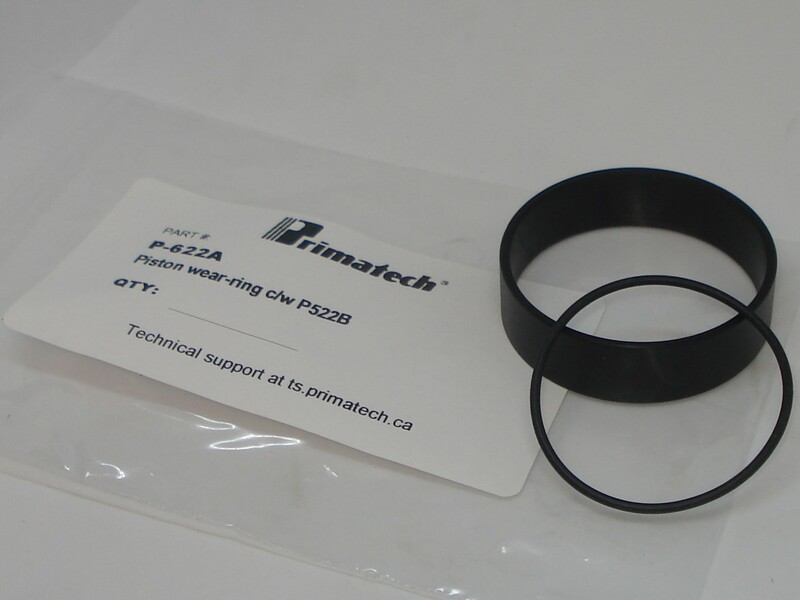 P‑622A Wear ring See note. 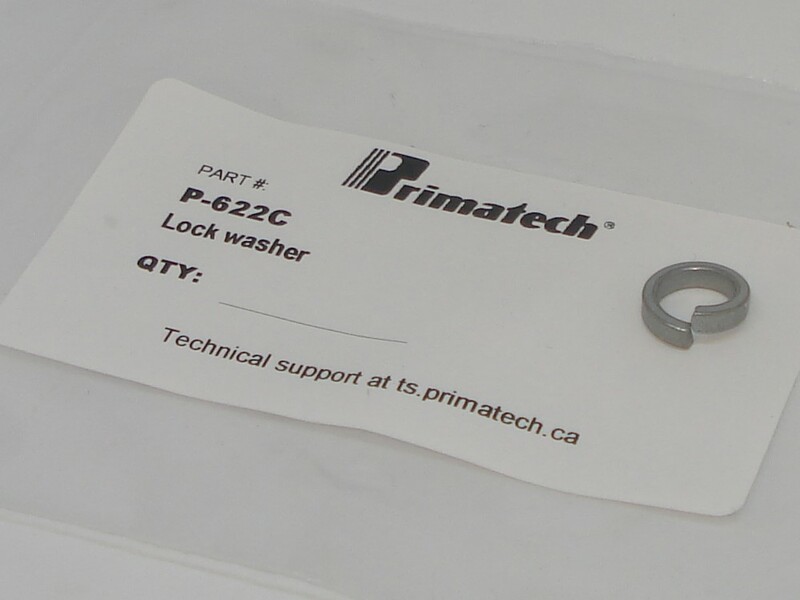 P‑622C Lock washer Not sold separately; supplied driving blades. 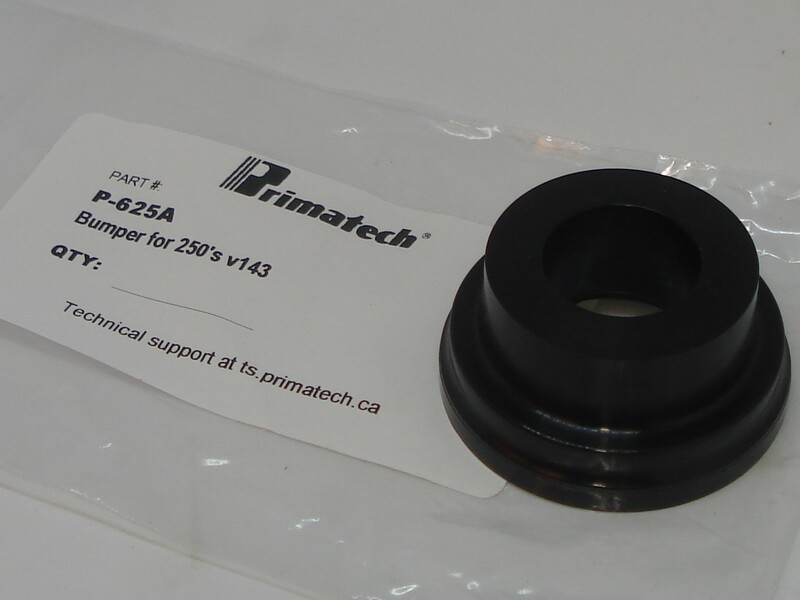 P‑625A Bumper For new version of the Primpact module only. 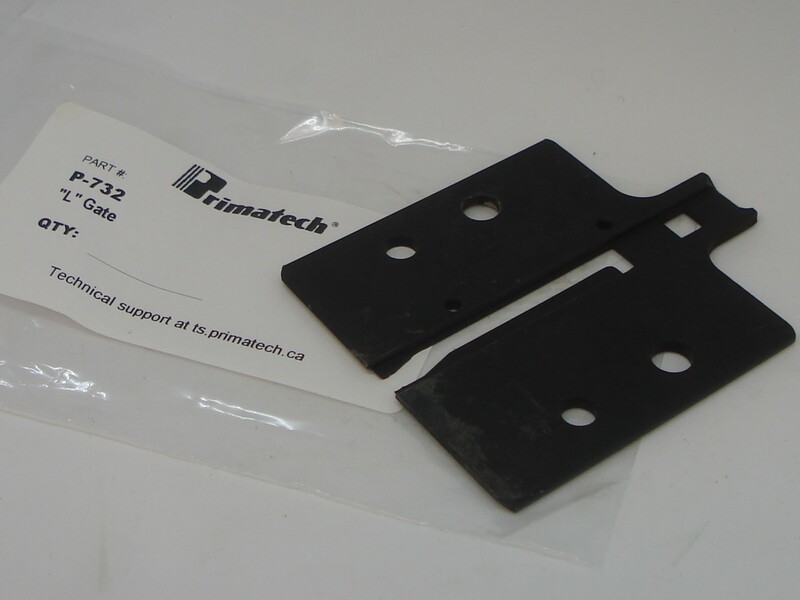 See Technical Note for replacement part number. 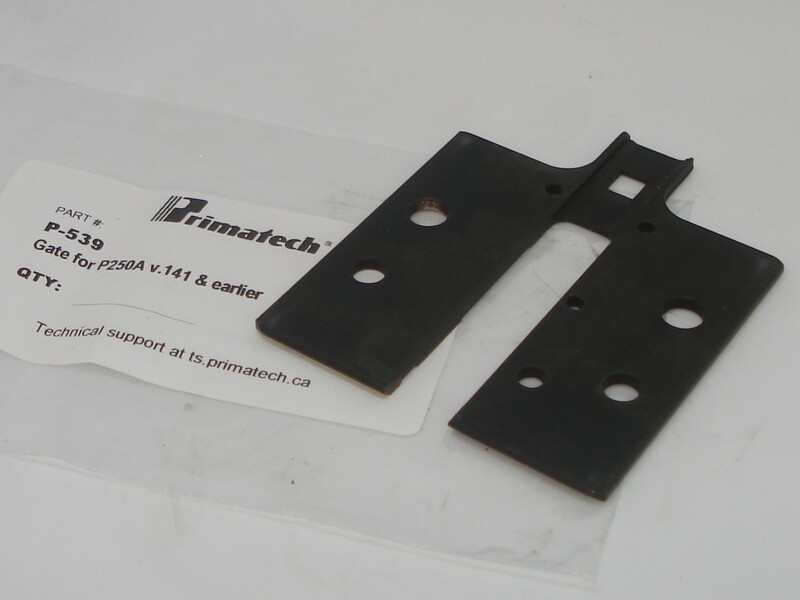 P‑635H Brackets for 3/4" to 33/32" floorings. For GYM Edition with A‑861 roller base only. See Technical Note. 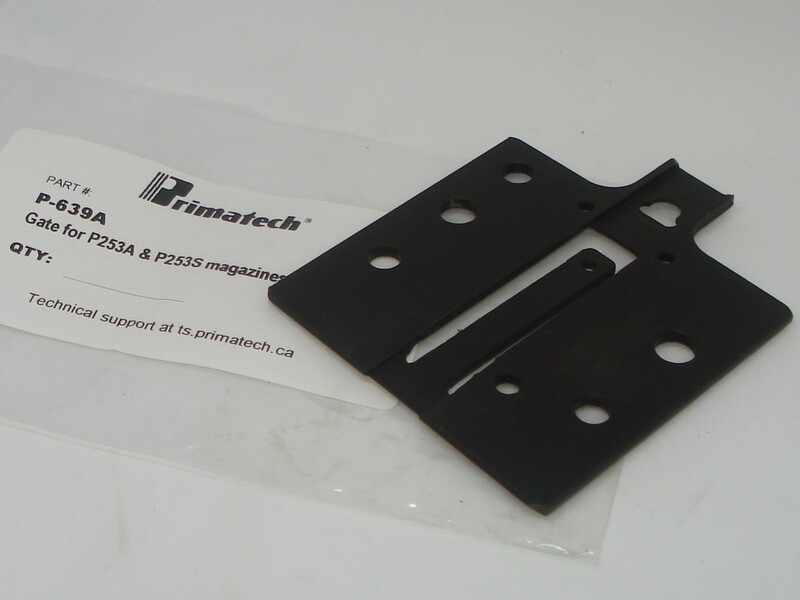 P‑639A ''S'' Gate For new-style stapler magazine P‑253A only. 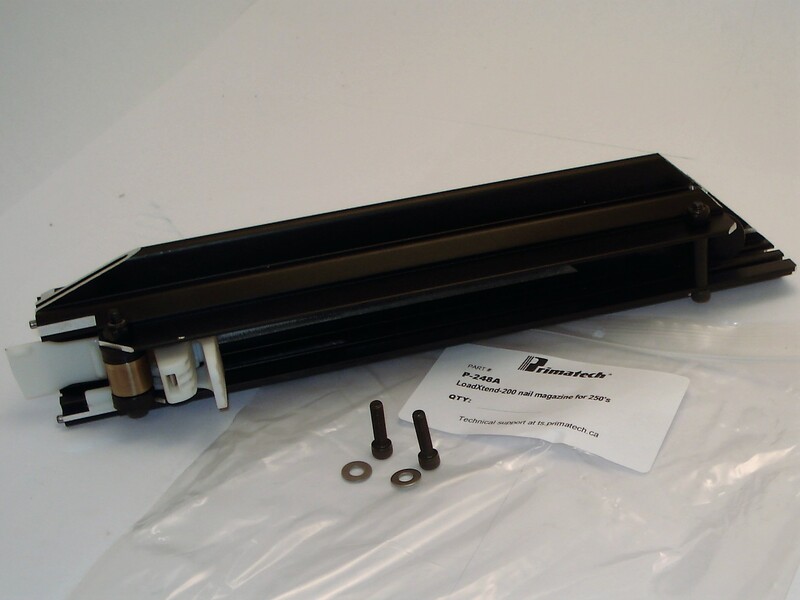 P‑642 Actuator Not sold separately; order complete valve assembly P‑043V. Do not attemp to disassemble. See Technical Note. 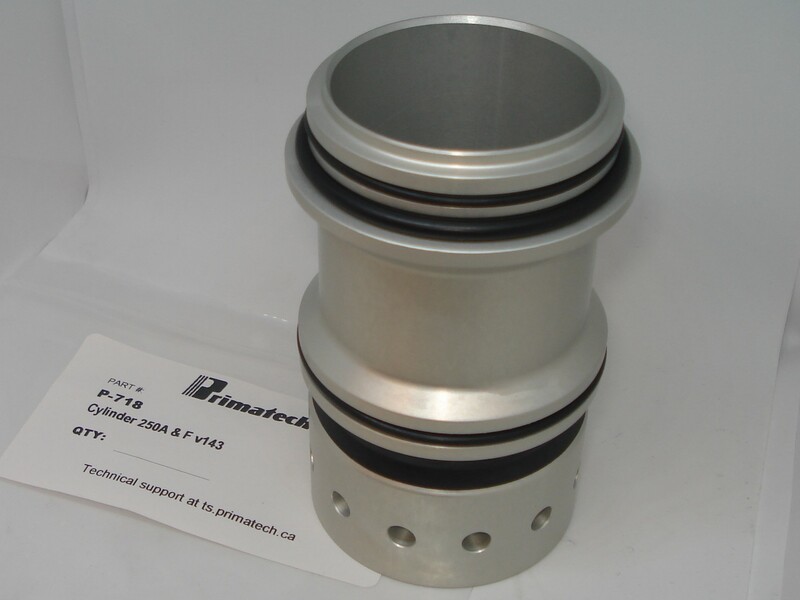 P‑643 Valve Not sold separately; order complete valve assembly P‑043V. 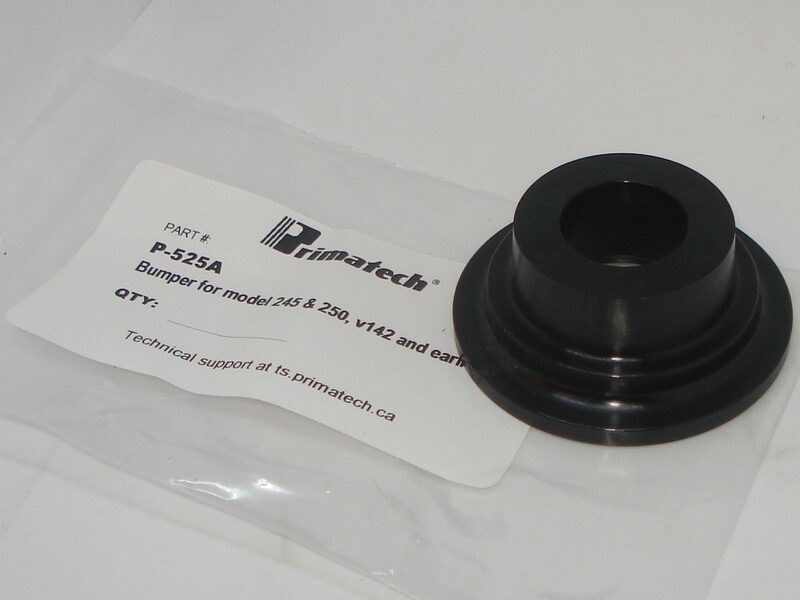 P‑643V Valve assembly Discontinued; order P‑043V. 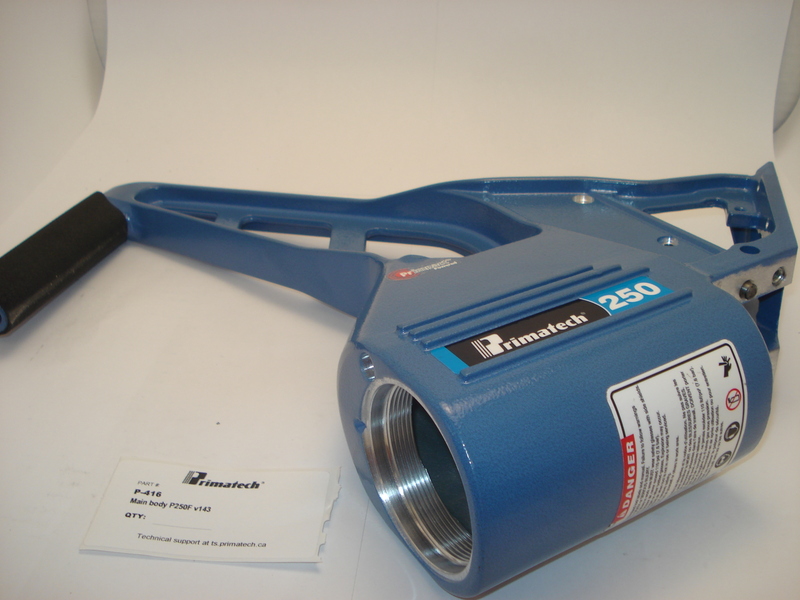 For first version of the Primpact module only. 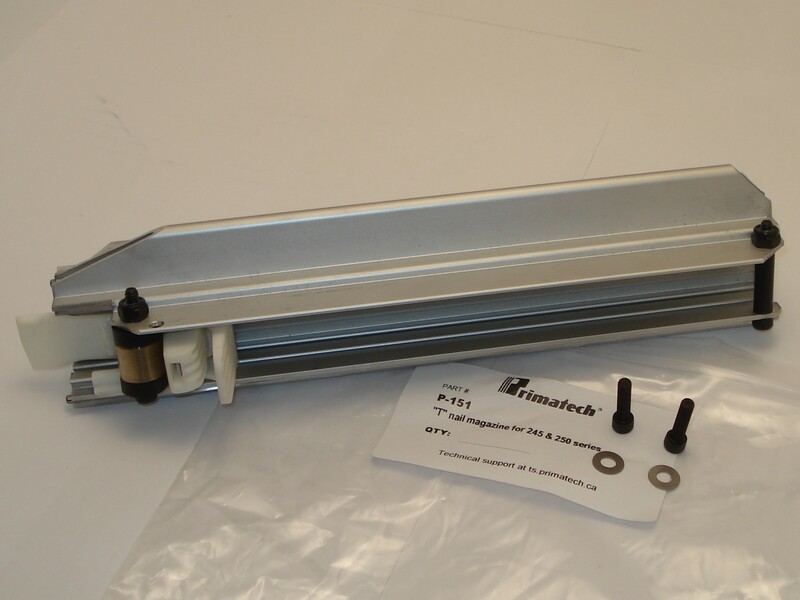 See Technical Note for replacement part number. 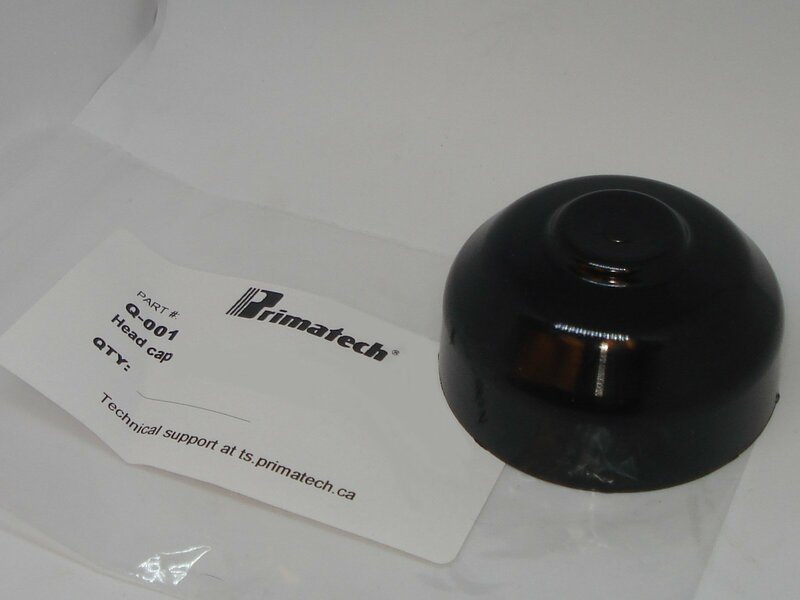 P‑644 Actuator cap Not sold separately; order complete valve assembly P‑043V. P‑706 Head body For new version of the Primpact module only. See Technical Note. P‑716 Main body For P250A with the new version of the Primpact module only. 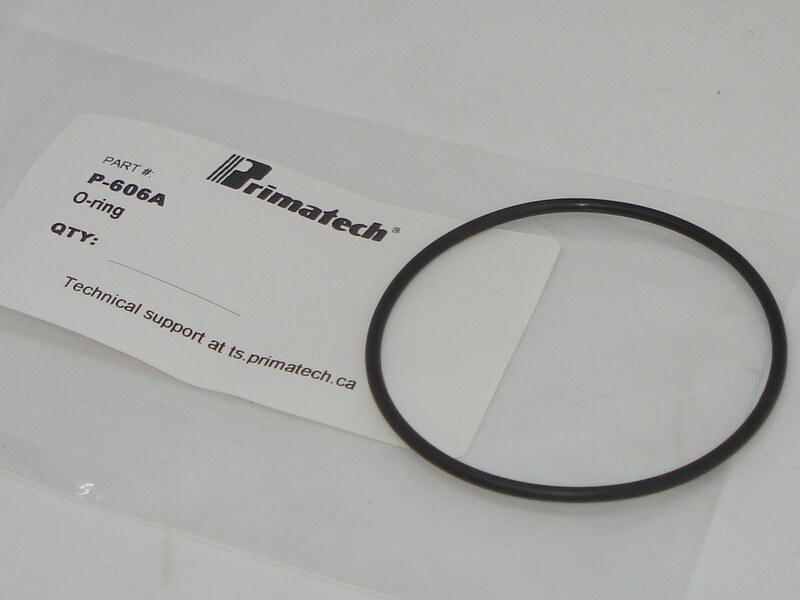 See Technical Note for replacement part number. 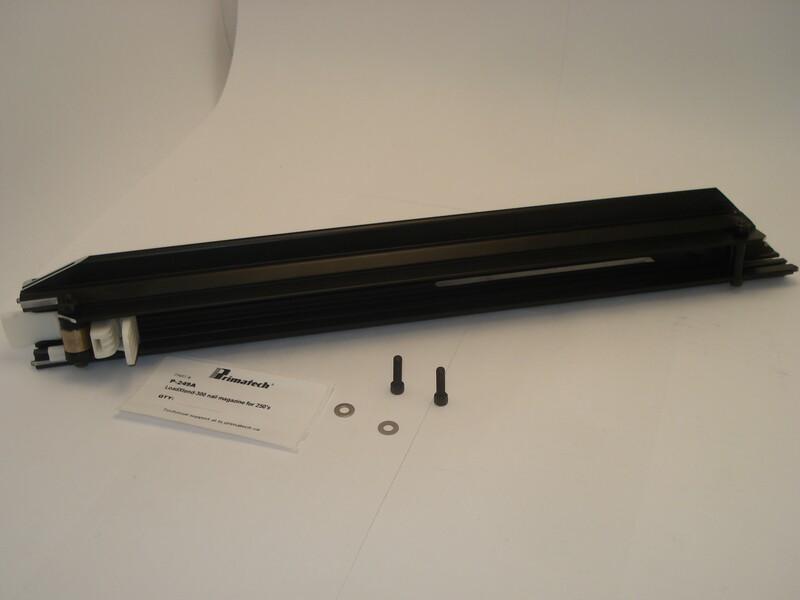 P‑718 Main cylinder For new version of the Primpact module only. 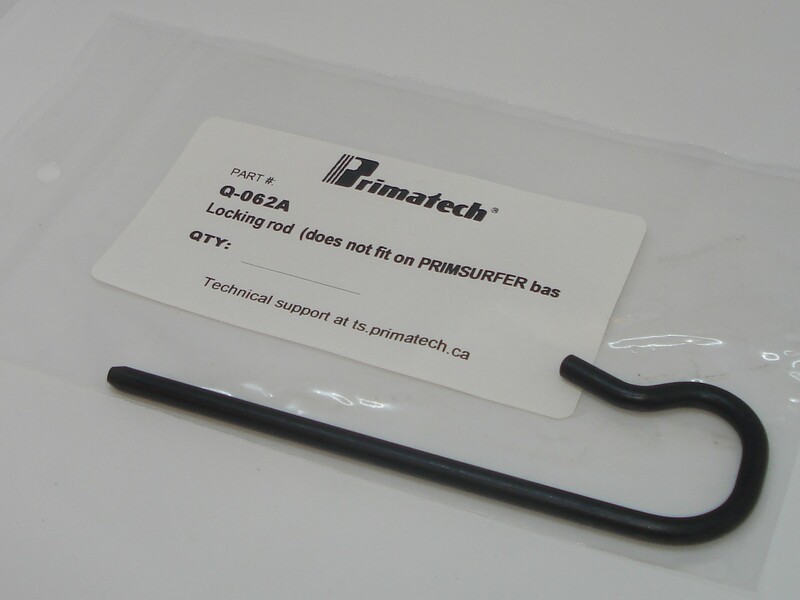 See Technical Note for replacement part number. 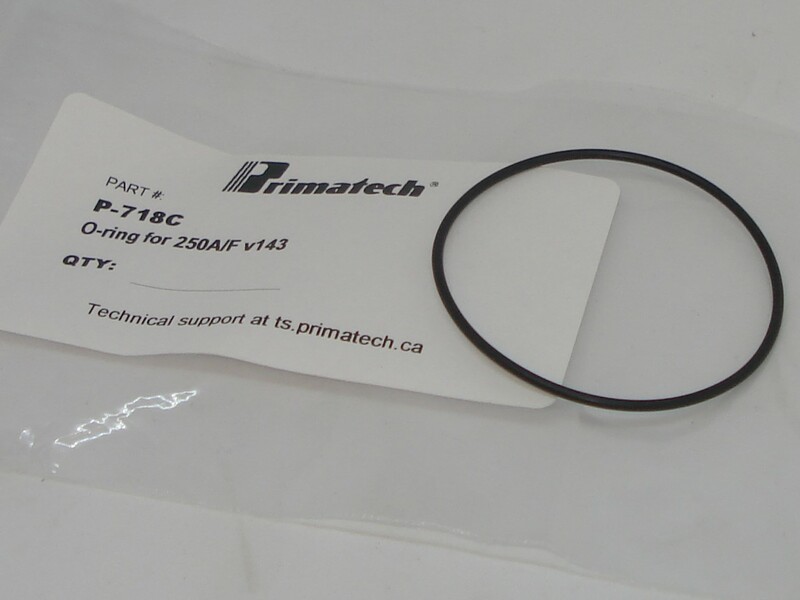 P‑718B o-ring For P-718 cylinder. 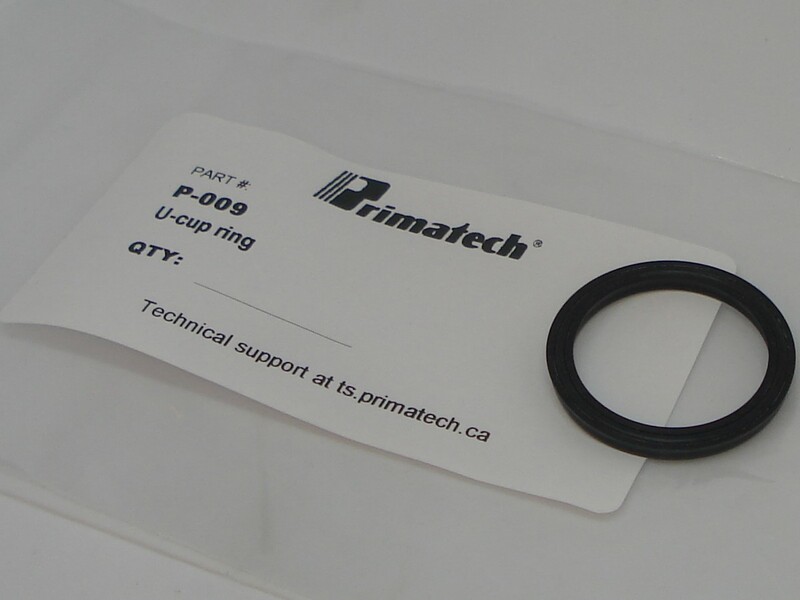 P‑718C o-ring For P‑718 cylinder. P‑732 "L" Gate "L" Nailers only. 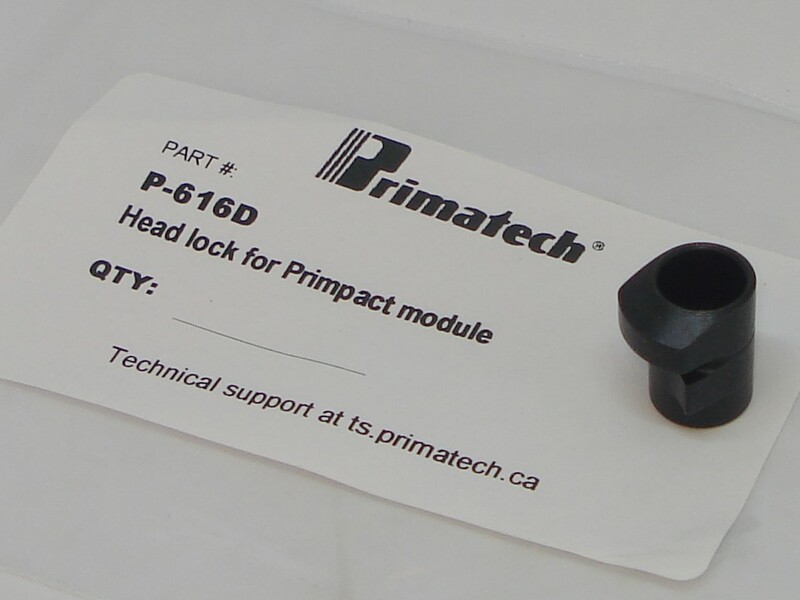 Q‑001 Head cap For new version of the Primpact module only. 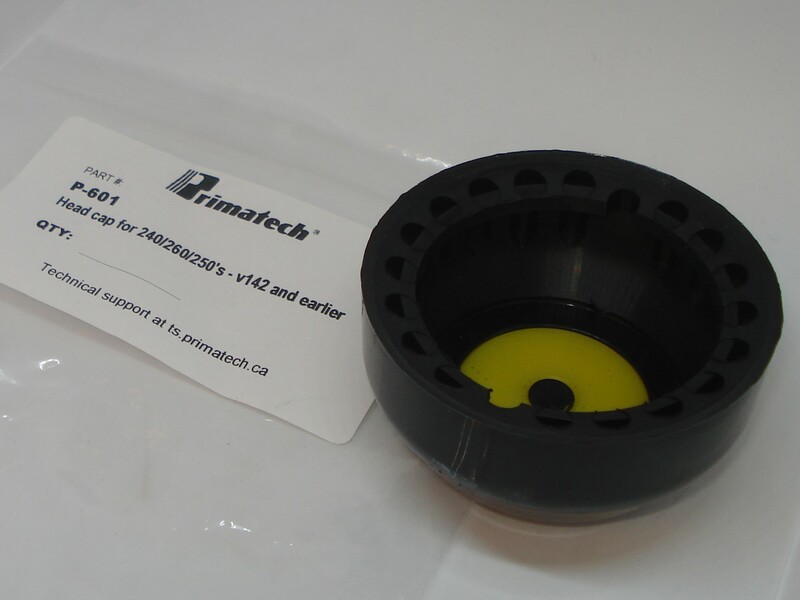 See Technical Note for replacement part number. 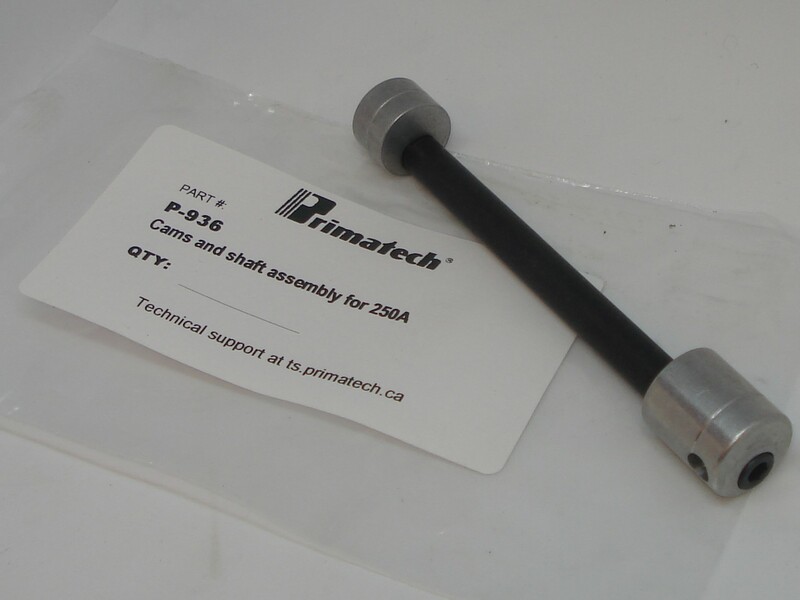 Q‑036 Cam axle Not sold separately; order P‑936. 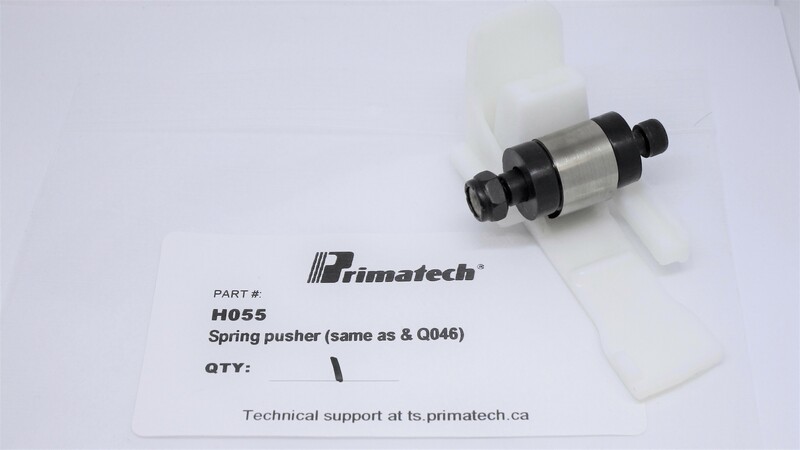 Q‑061D Spring Not sold separately; order P‑961. 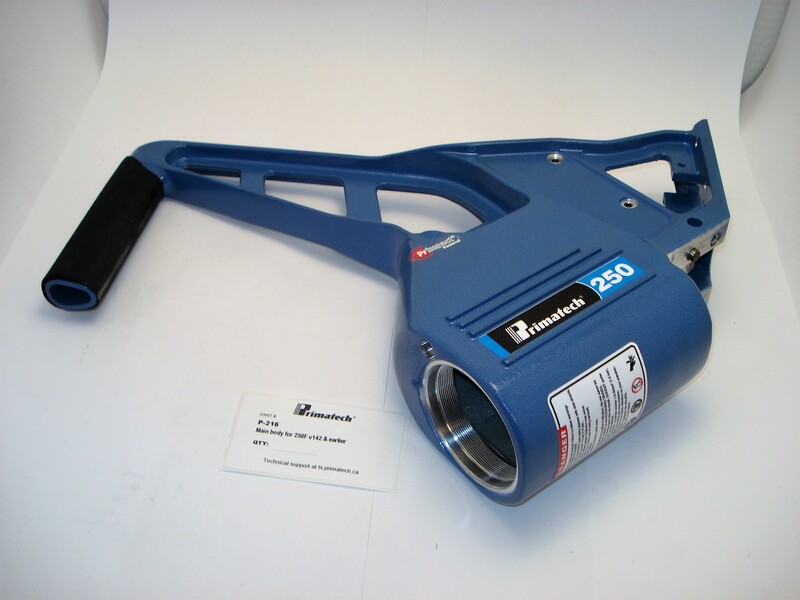 P‑252K Complete S‑LBO stapler magazine Includes P‑253A LoadXtend magazine & P‑252 S‑LBO extension. 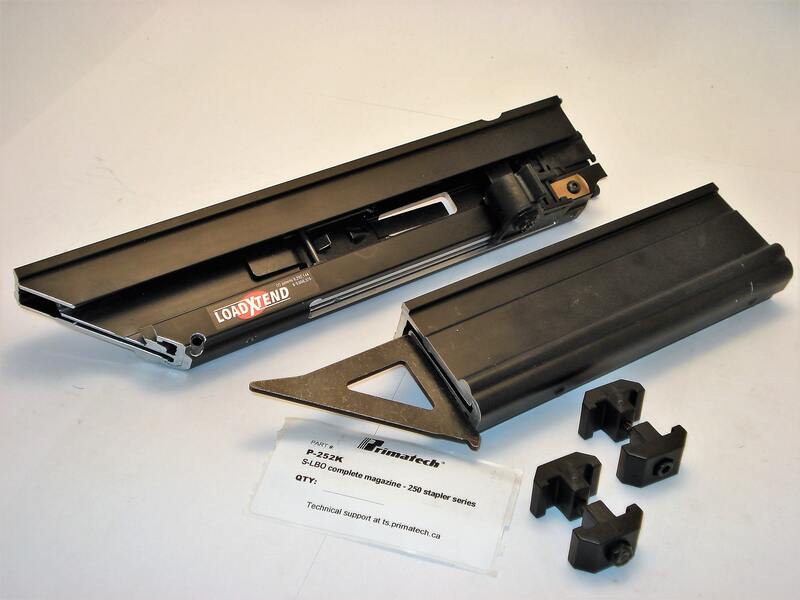 P‑252U S‑LBO stapler magazine upgrade kit Upgrade from discontinued P‑152 or P‑153 magazine with new LoadXtend S‑LBO stapler magazine. 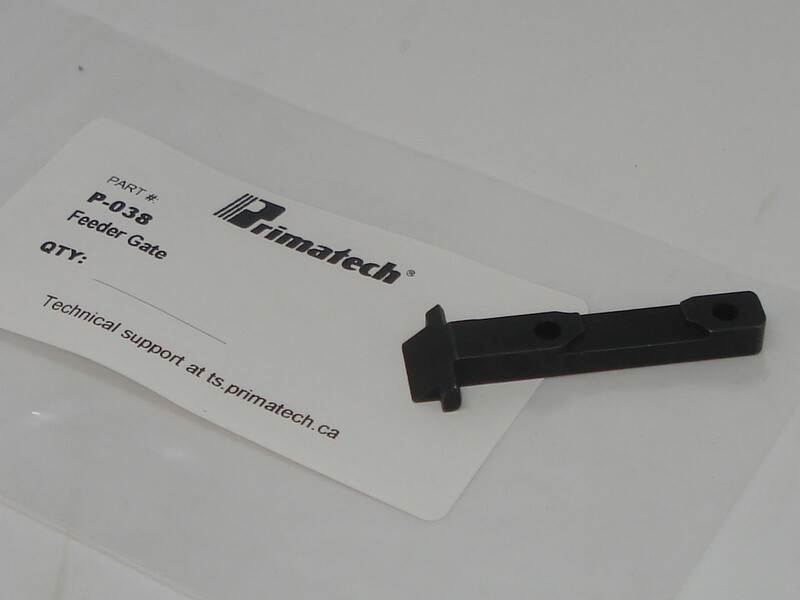 Upgrade kit includes P‑252K, new gate P‑639A & foot P‑429. See Technical Note. 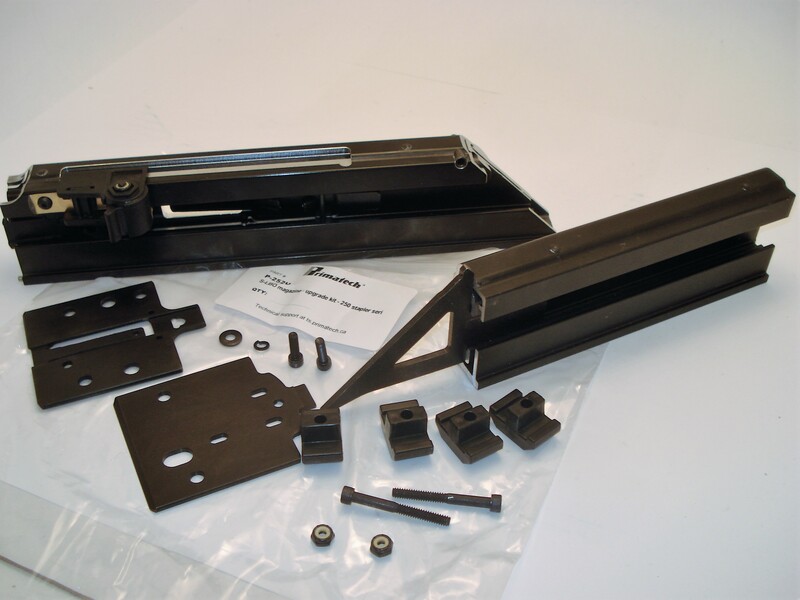 P‑253U Stapler magazine upgrade kit Upgrade from discontinued P‑153 magazine with P‑253A LoadXtend magazine. 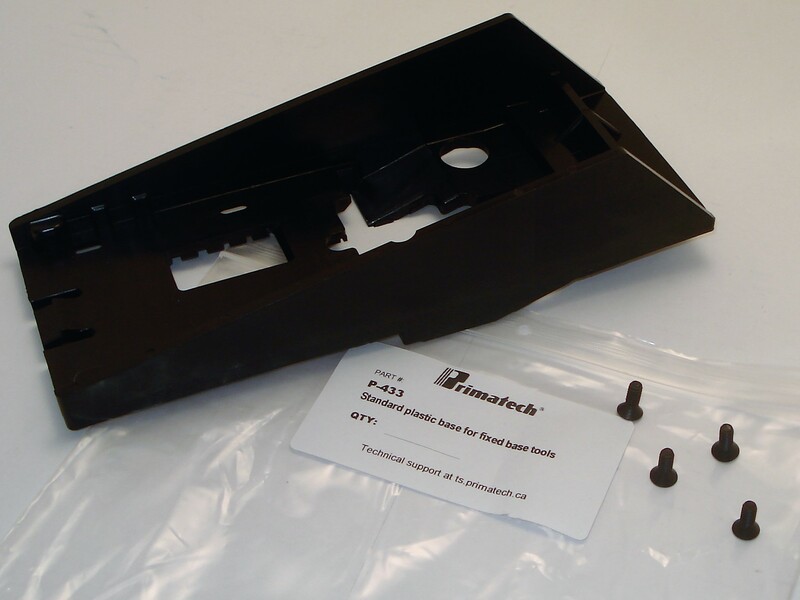 Upgrade kit includes new gate P‑639A & foot P‑429. See Technical Note. 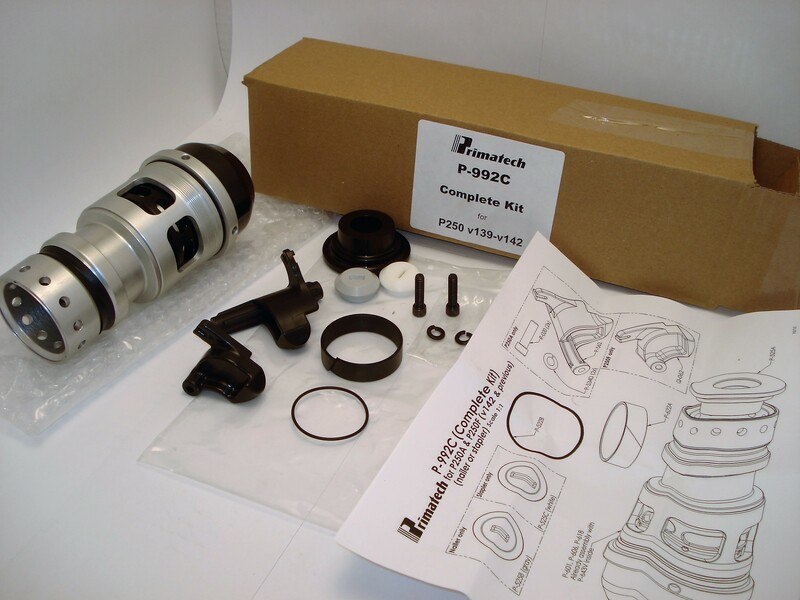 P‑936 Axle & cam kit Supplied with cams & hardware. 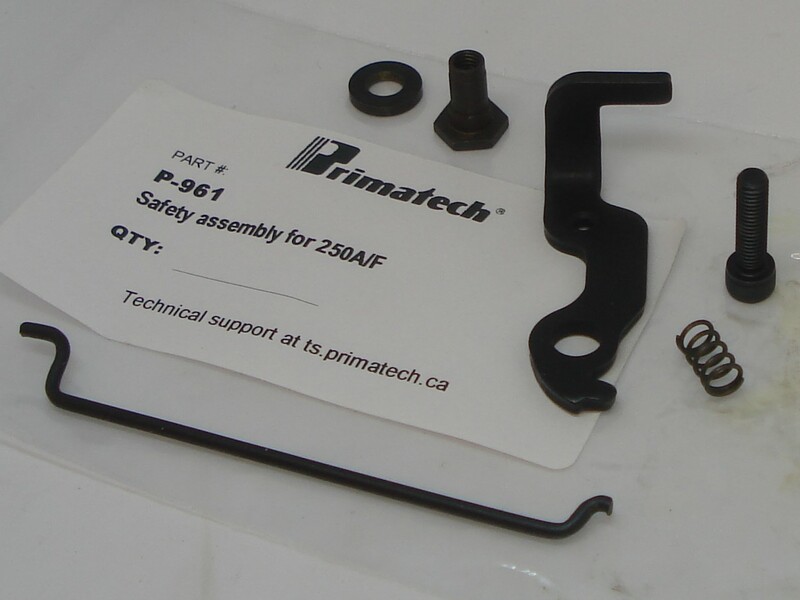 P‑961 Complete safety kit Complete assembly including connecting stem, spring & pivot. See Installation Note. 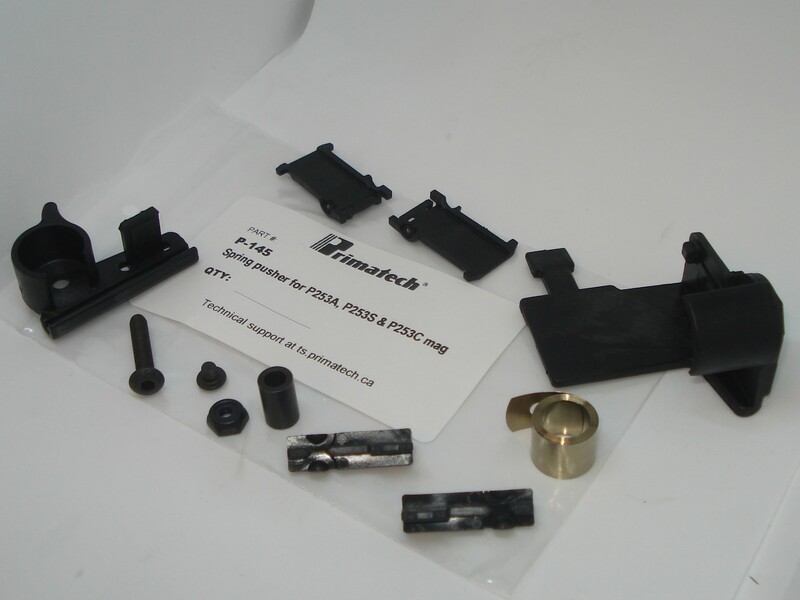 P‑962 Safety contact kit For P250F only. 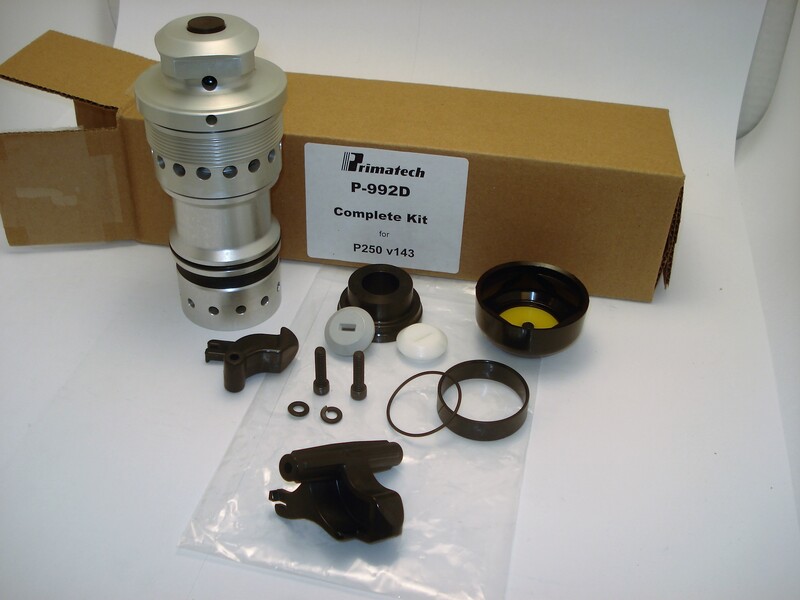 P‑992C Overhaul kit Complete head/cylinder & wear parts kit (see content) for all P250A & P250F with first version of Primpact module (v142 & previous); see Technical Note for replacement part number. 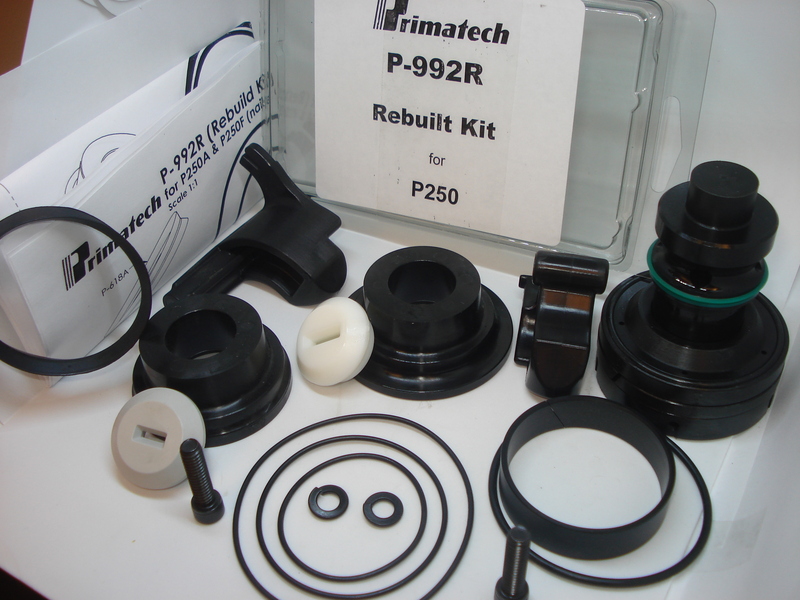 P‑992D Overhaul kit Complete head/cylinder & wear parts kit (see content) for all P250A & P250F with new version of Primpact module (v143); see Technical Note for replacement part number. 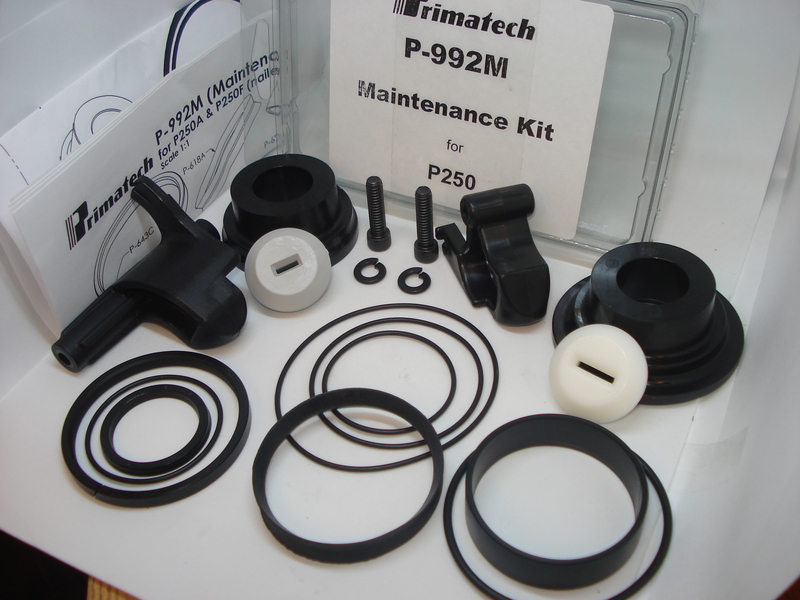 P‑992M Maintenance kit Replacement of all wear parts; see details. 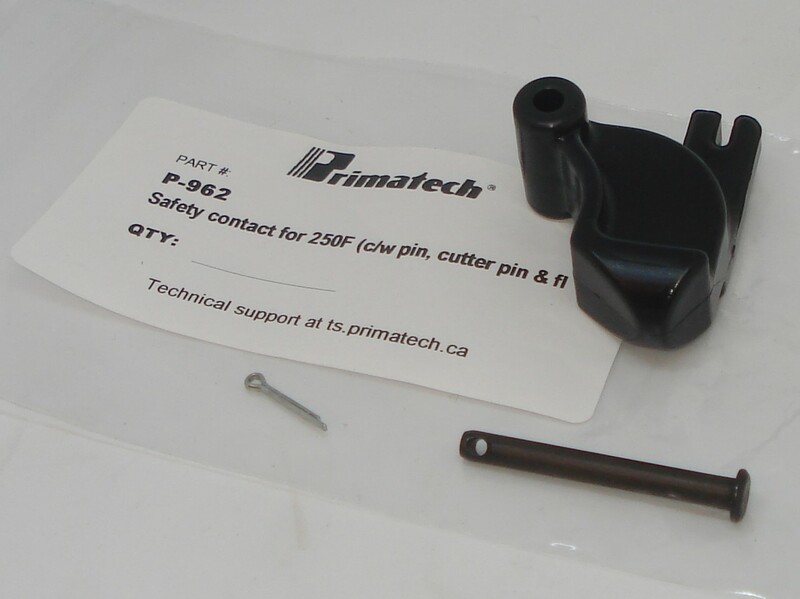 P‑992N Piston assembly Complete piston & driving blade assembly for all P250L and P250T nailers; see details. 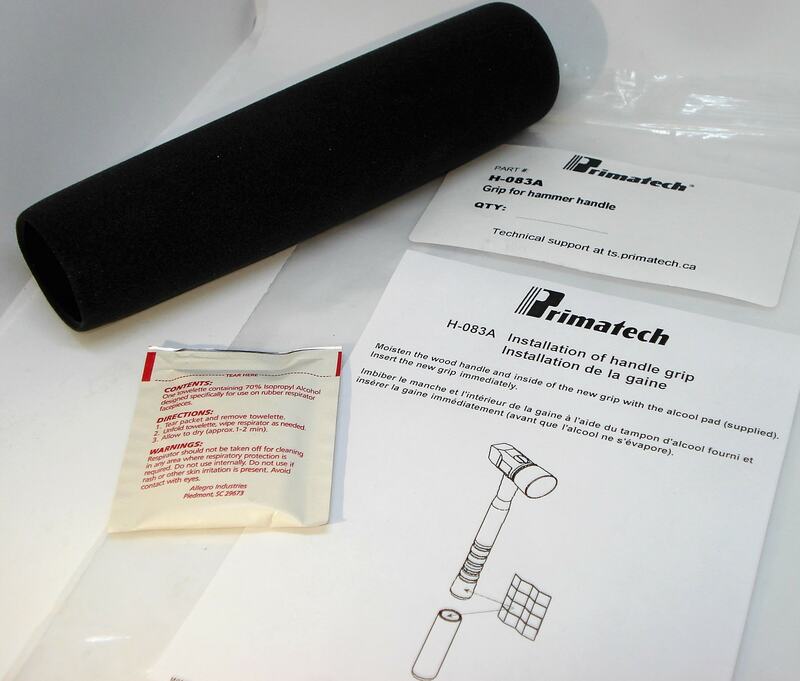 P‑992R Rebuild kit Rebuild kit for all P250 tools; see details. 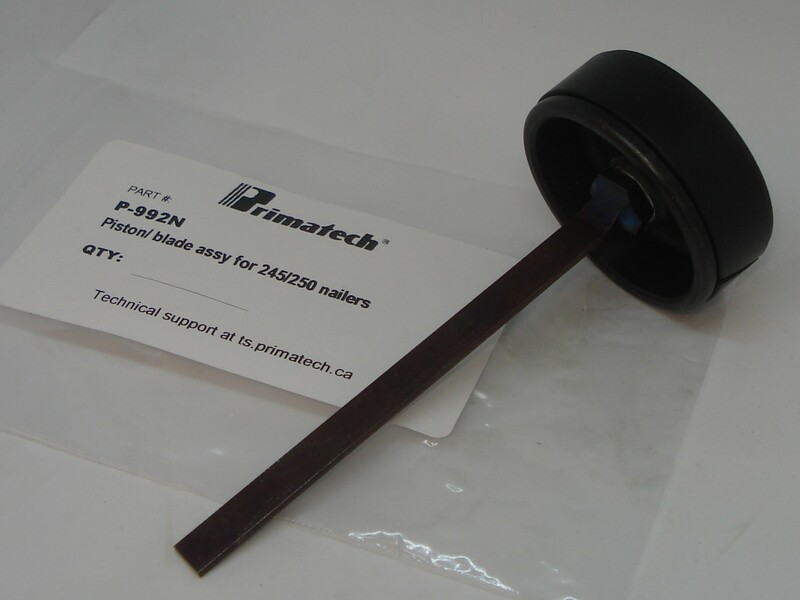 P‑992S Piston assembly Complete piston & driving blade assembly for all P250S staplers; see details. © Copyright 1996-2019 Primatech. All rights reserved. Disclaimer.